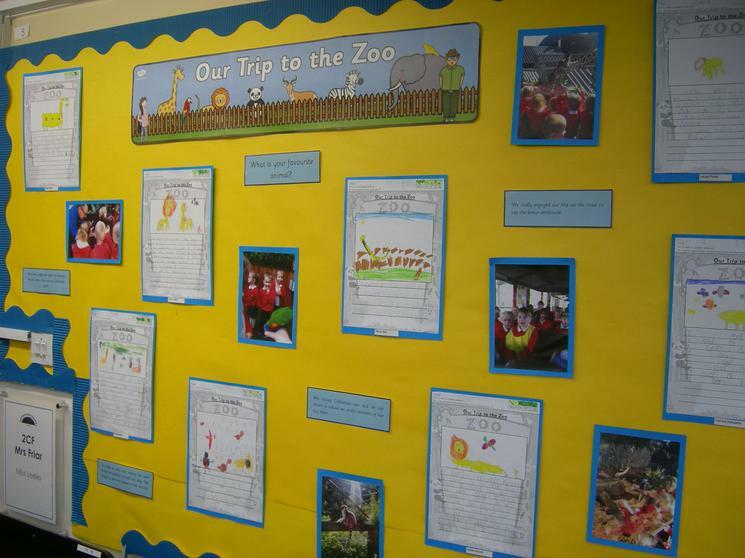 We had a very exciting week this year and the theme was 'journeys.' 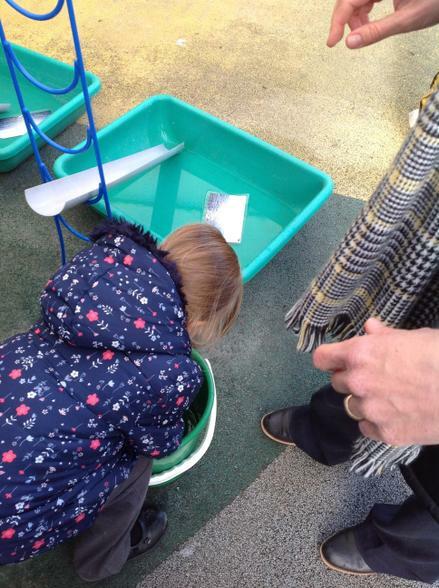 To tie in with our current theme of 'Rain Rain Go Away' we decide to explore water journeys through investigation and experiments. 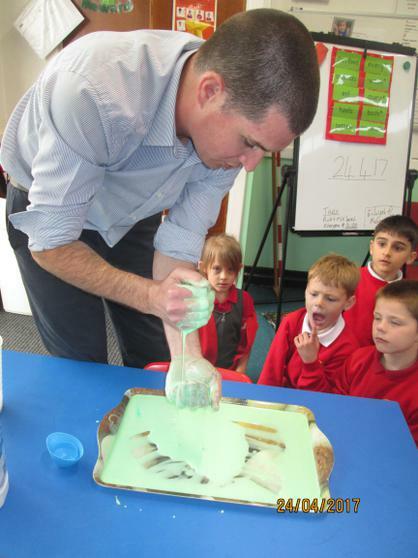 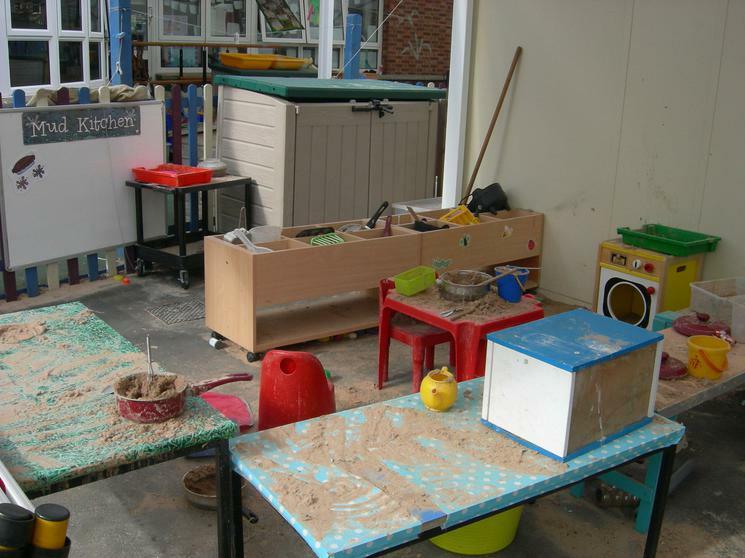 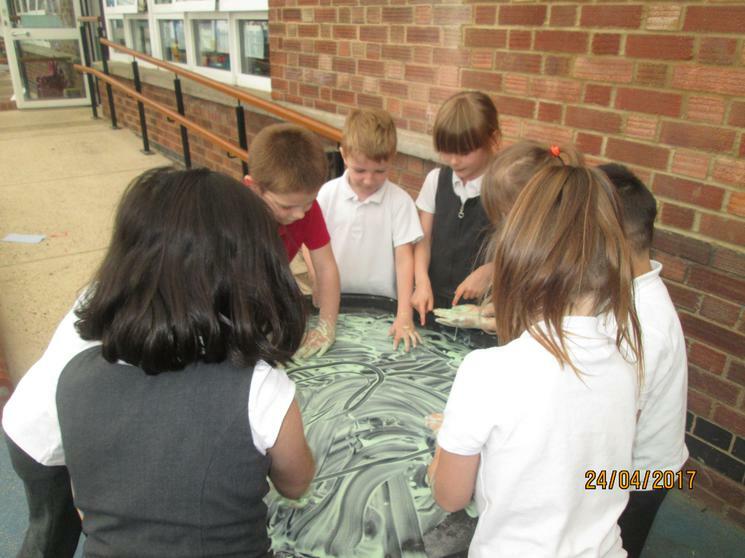 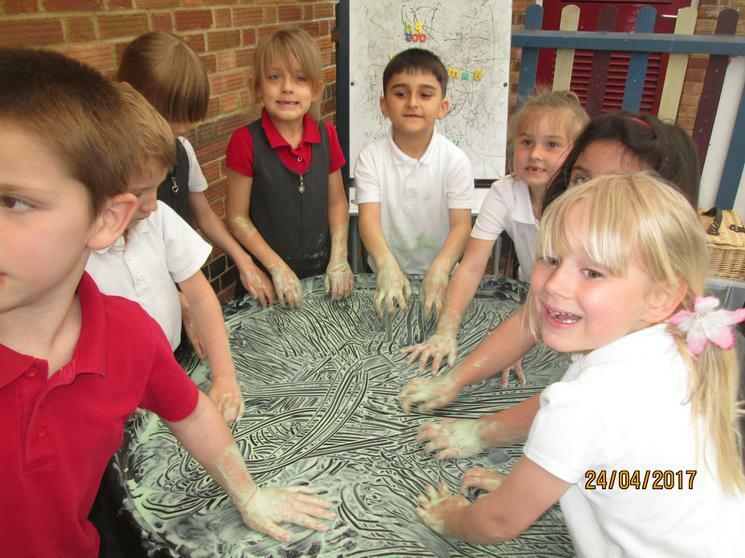 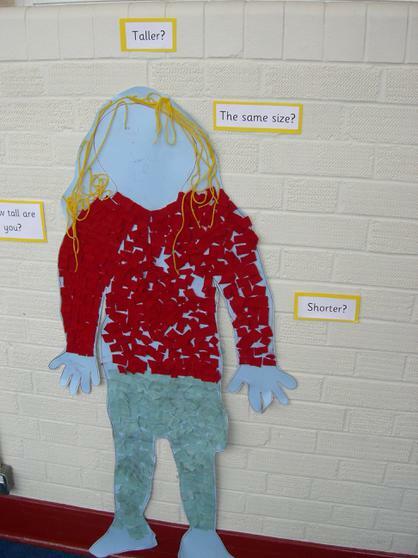 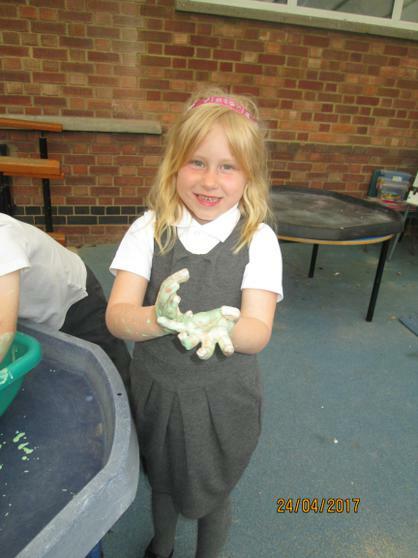 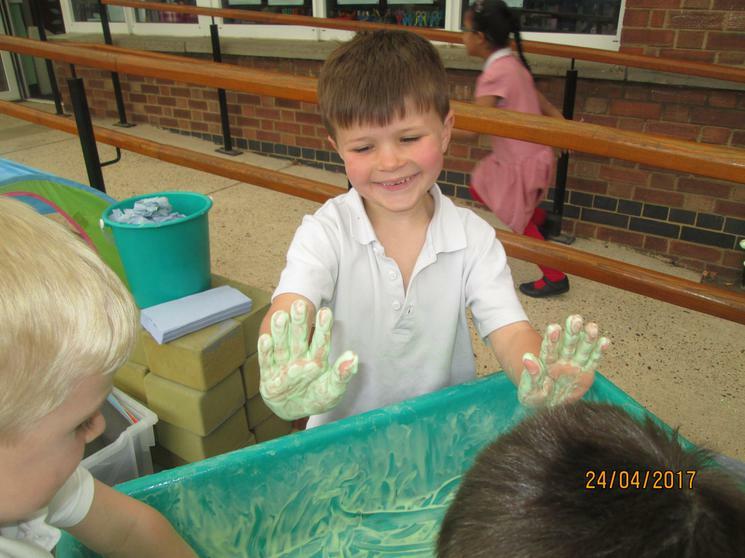 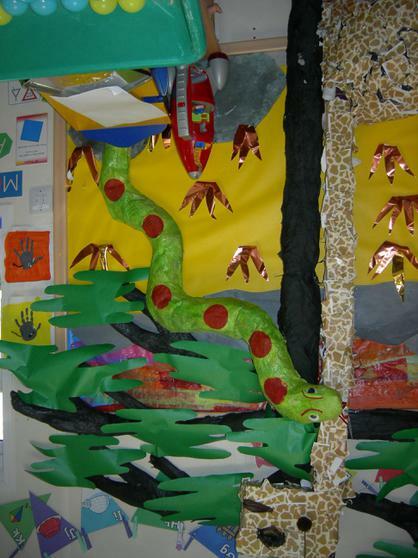 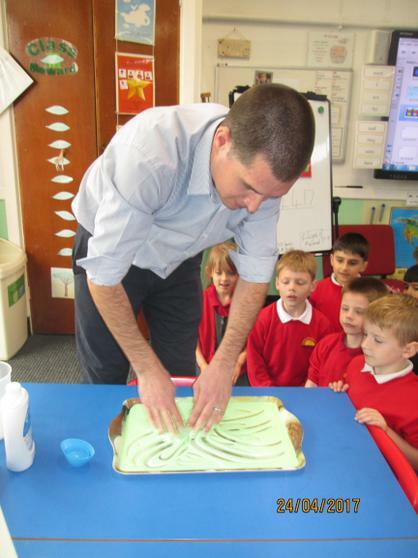 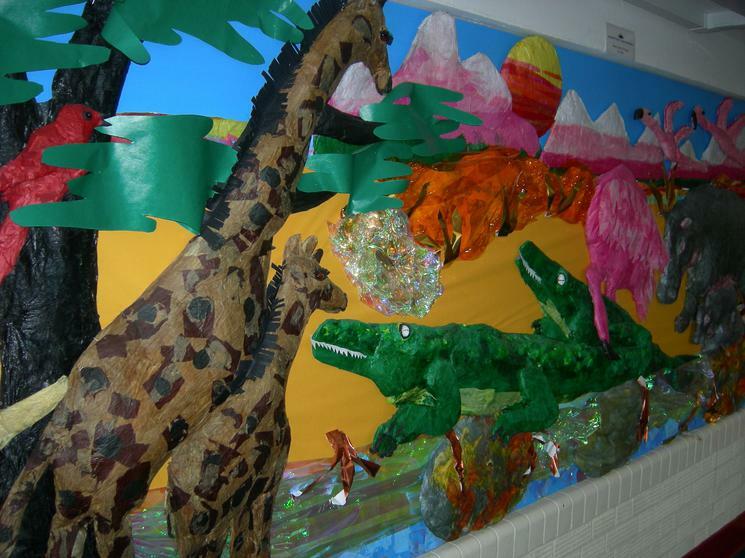 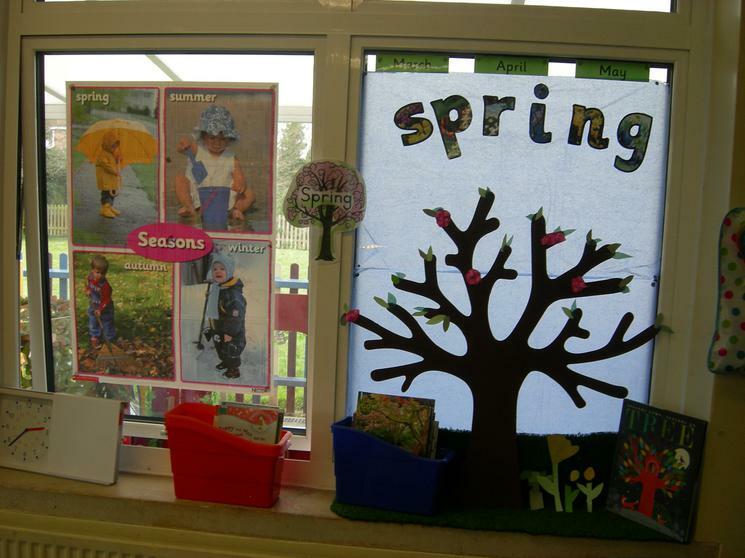 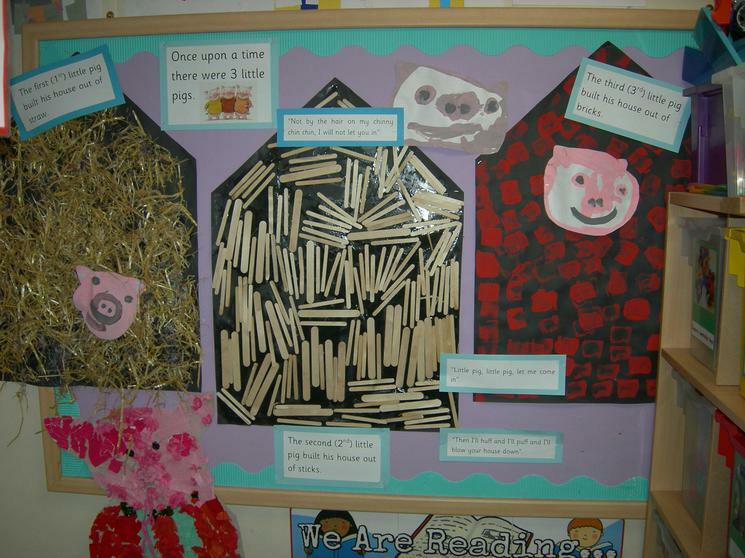 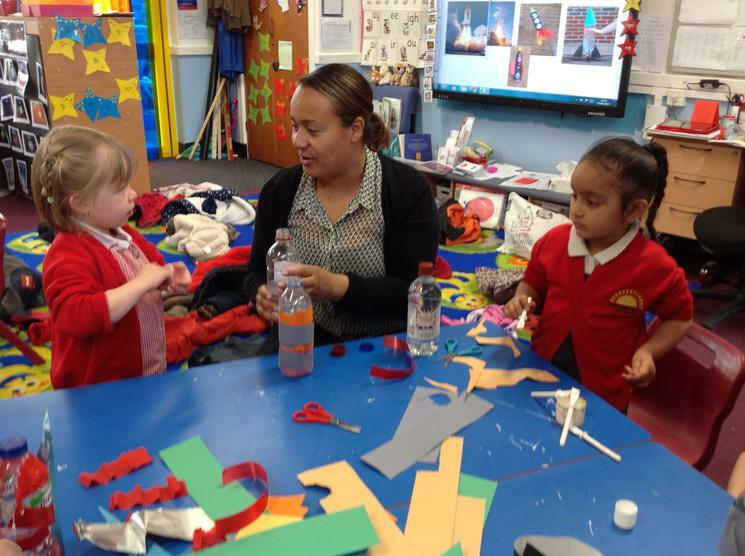 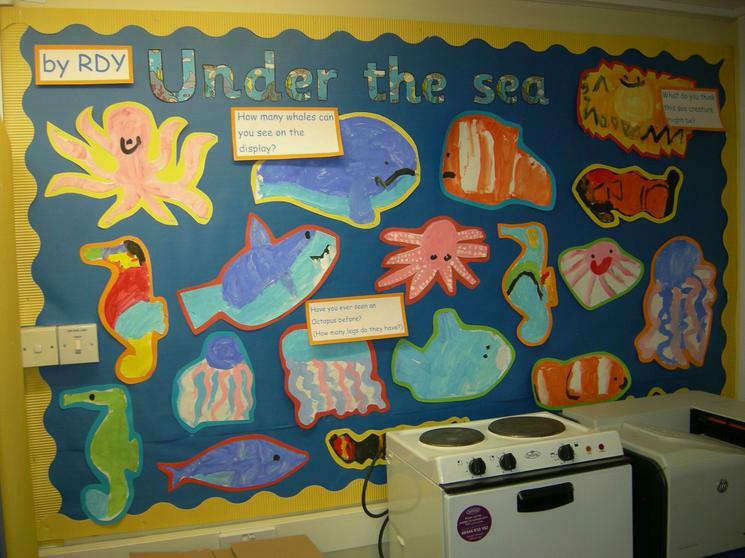 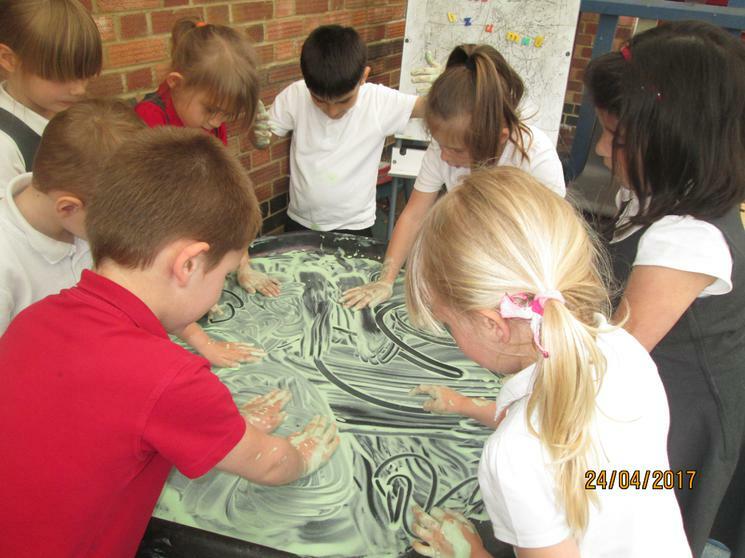 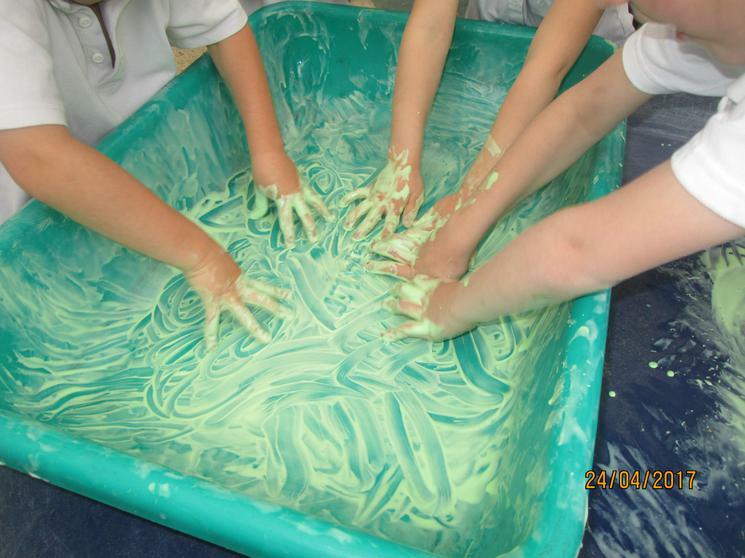 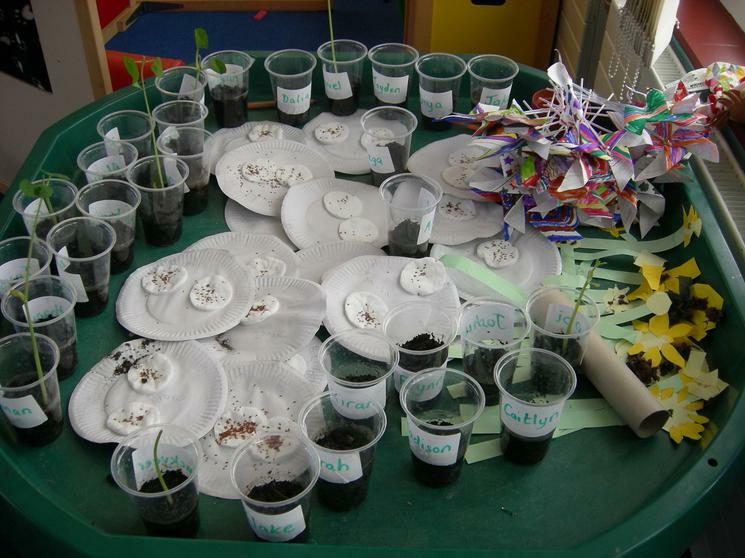 Nursery joined Reception in exploring activities that included the water cycle, marine pollution and rain /rain clouds. 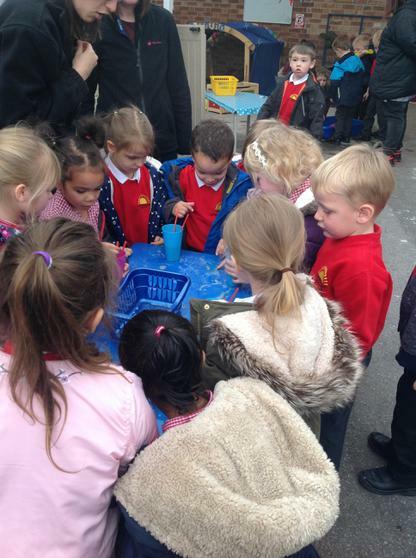 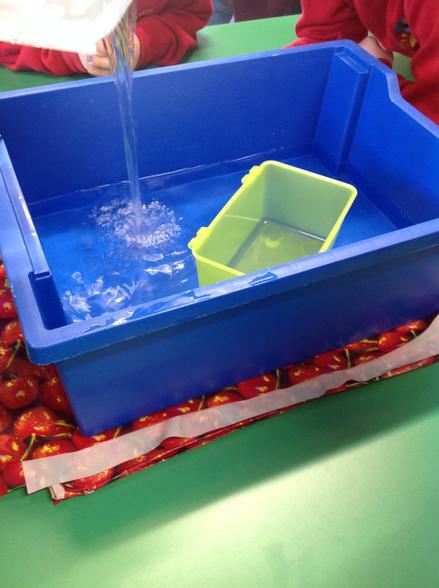 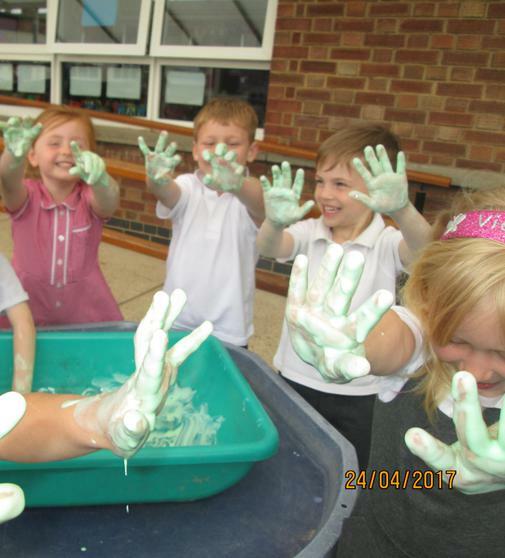 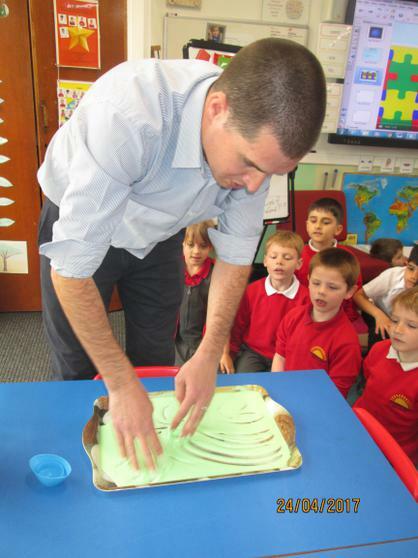 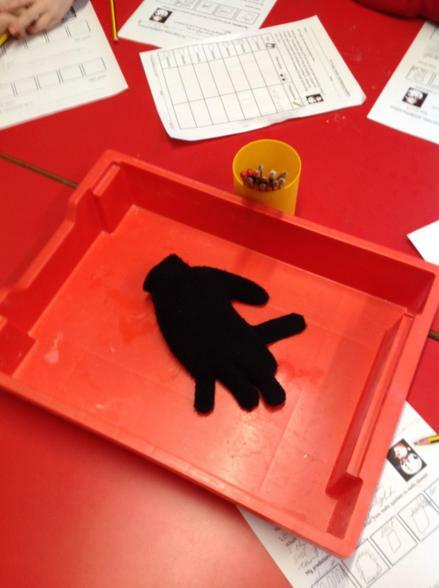 Year 1 had a variety of ice and floating and sinking experiments and the Year 2 children explored rain walks, clouds and ice experiments. 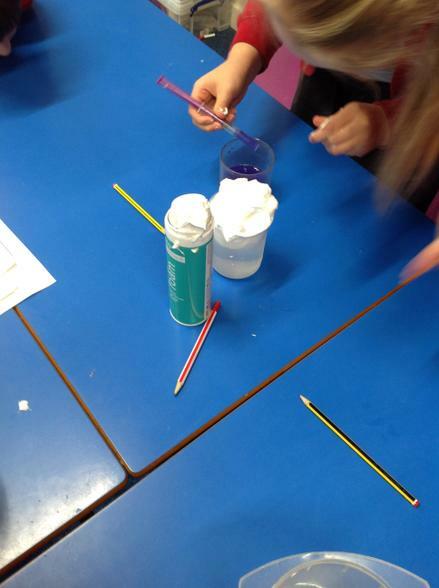 The children acted like real scientists making predictions, observing, asking questions and talking about whether they thought what they were doing was a fair test. 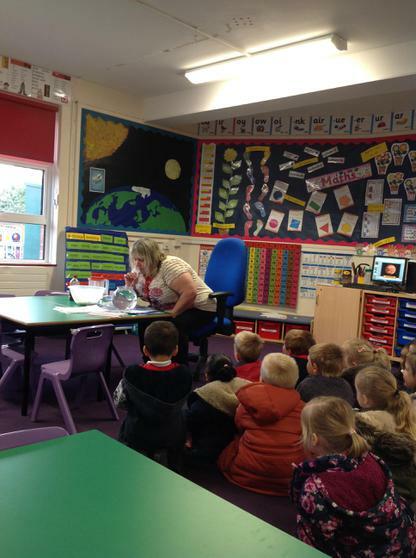 The week started with Ipswich Borough Council visiting. 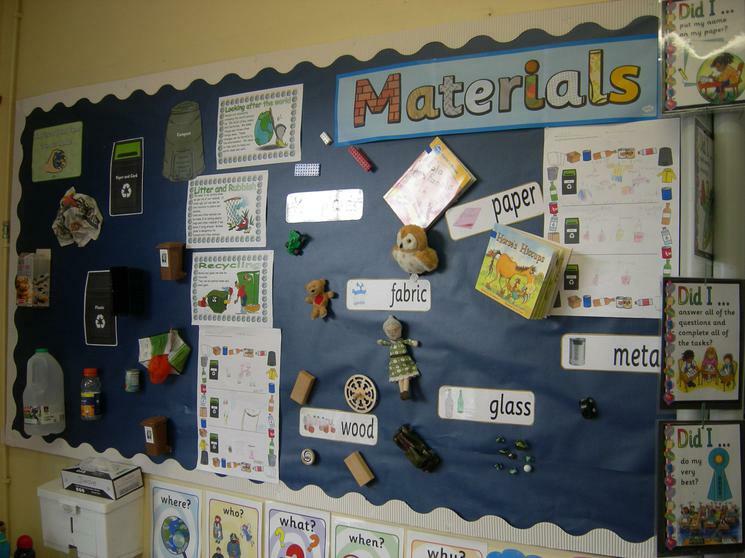 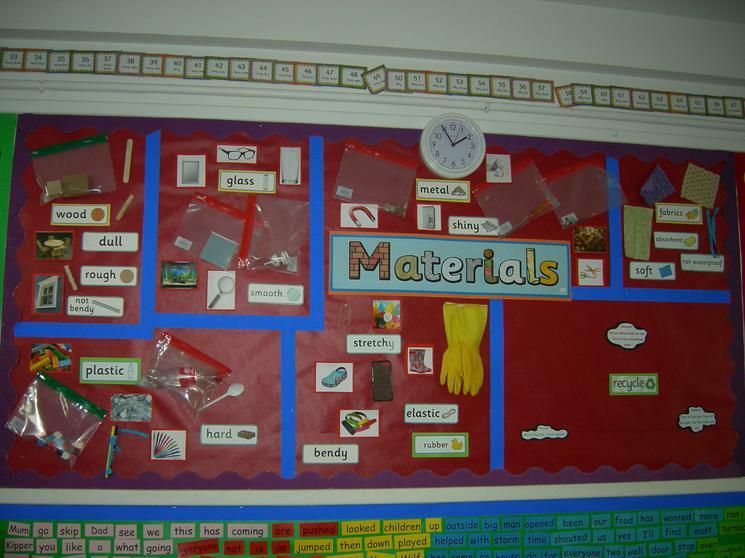 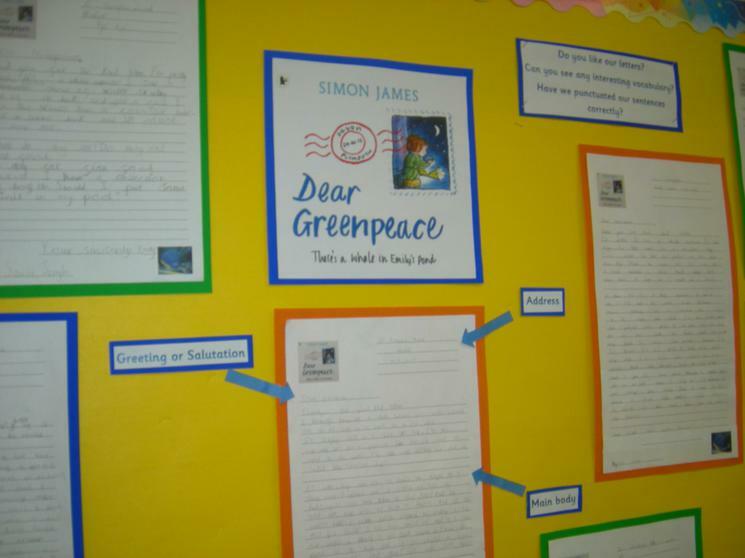 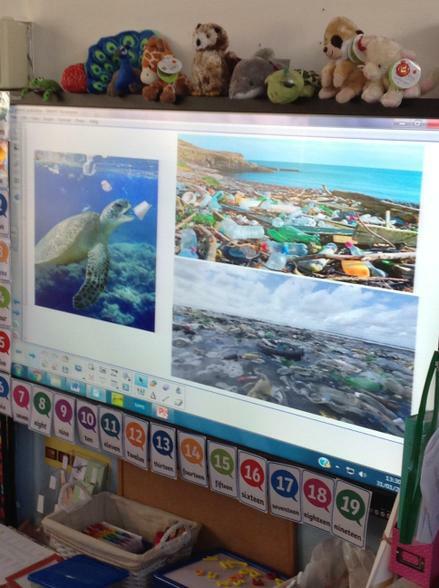 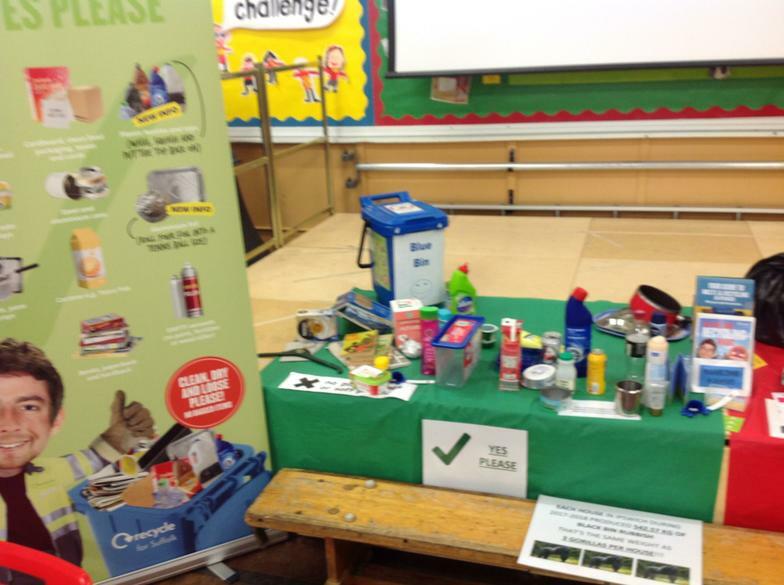 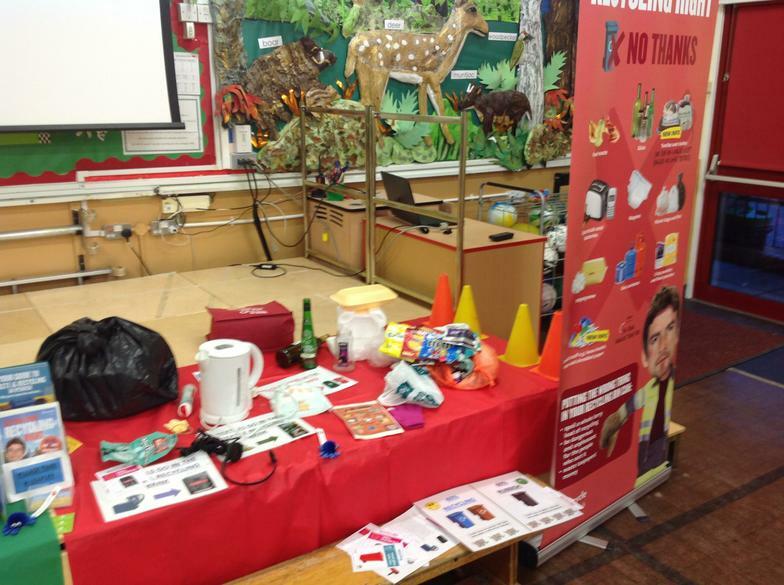 They set up a recycling stand in the hall and the children discovered which materials are recyclable and which are not and where they can take them/put them. 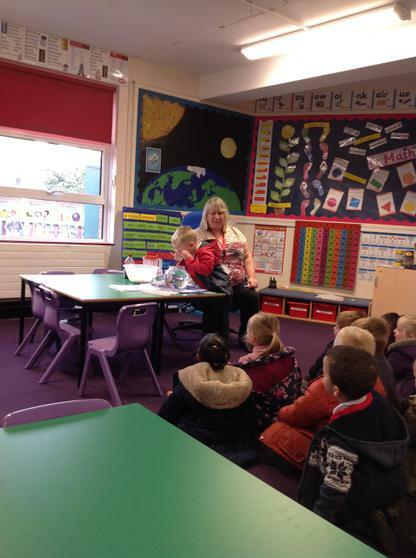 The stand was with us all week for classes to visit. 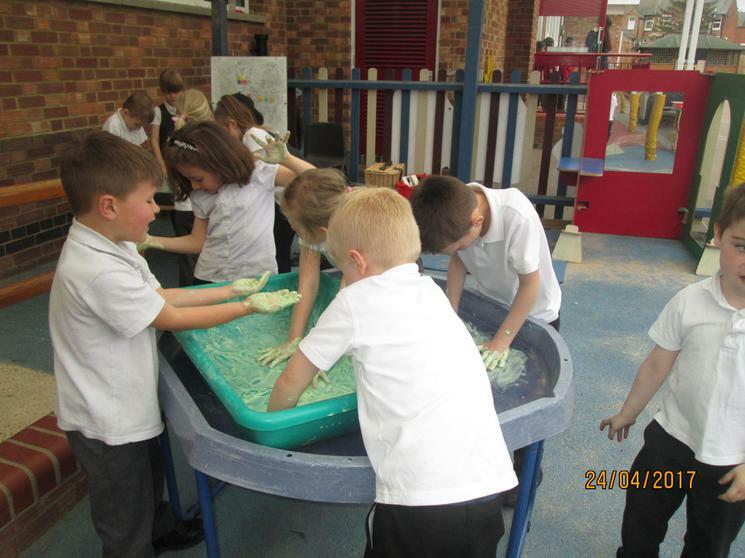 The children were very excited about the variety of activities on offer and enjoyed visiting different classes in their year groups. 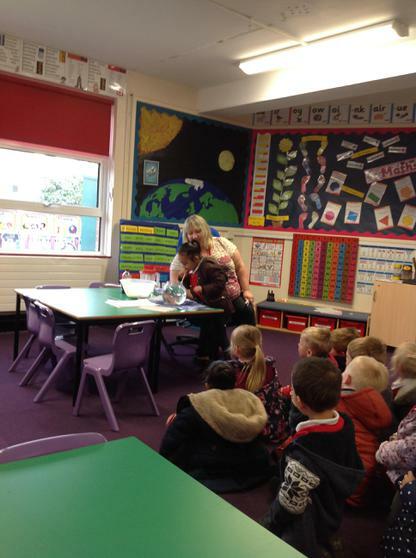 They looked fantastic on Friday when they came dressed up as a scientist. 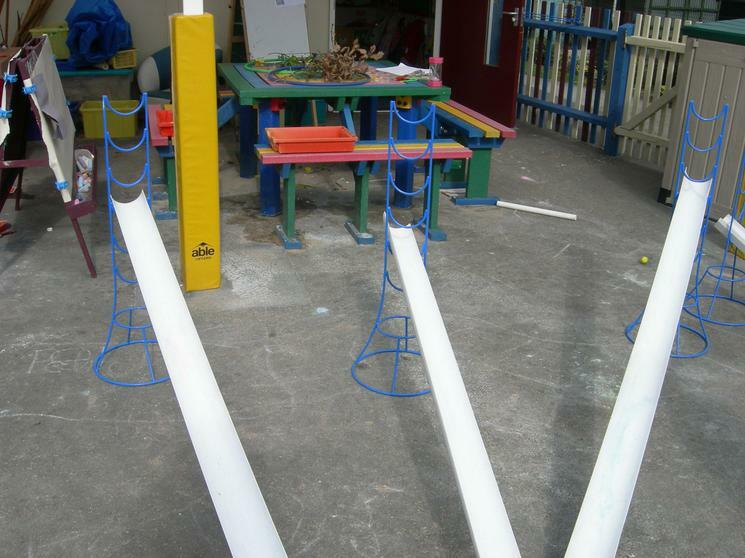 The invention of the light bulb! 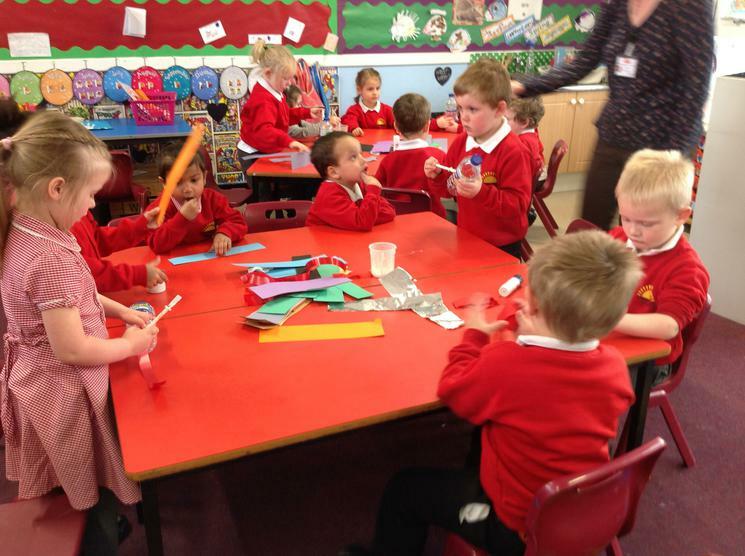 1DY learnt about Thomas Edison inventing the light bulb in America during the Victorian era. 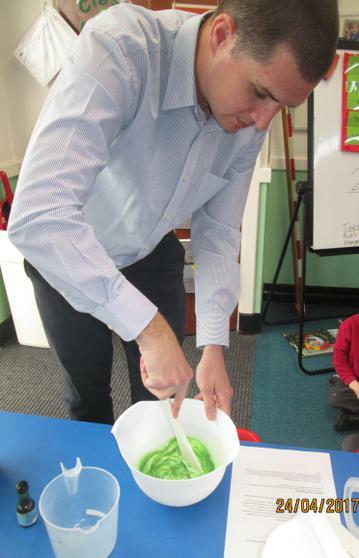 We then set the children the challenge of trying to create an electric circuit. 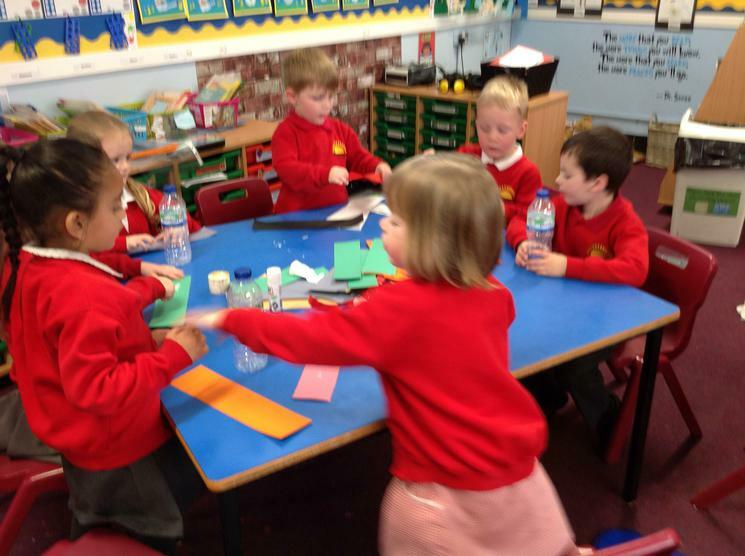 We explained what things they would need to make the circuit and then they used trial and error to try and make the circuit. 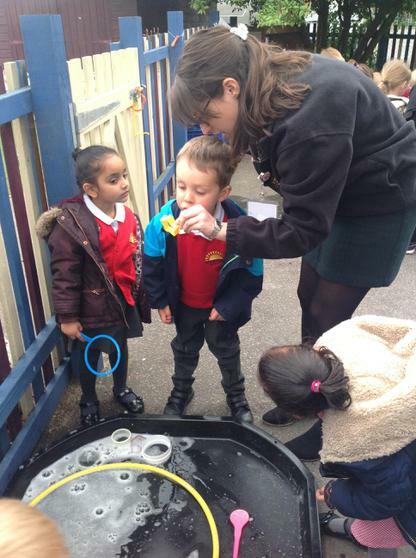 One of the children was able to successfully make the circuit and then was proud to show the rest of the class how to do it! 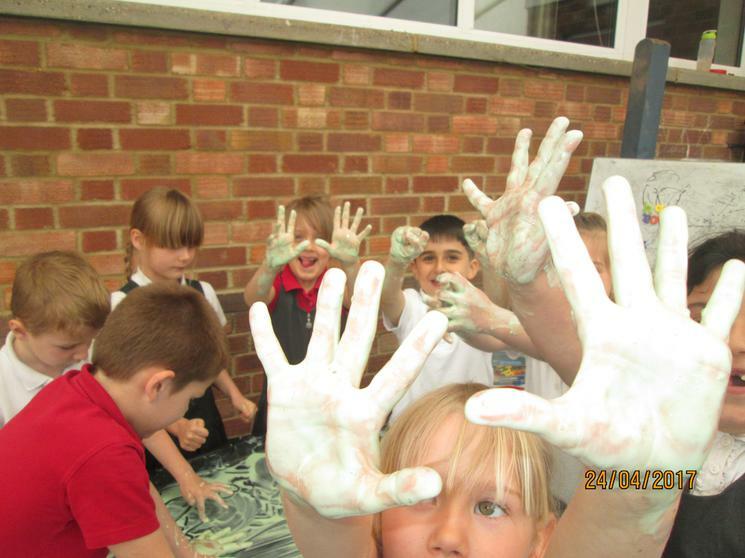 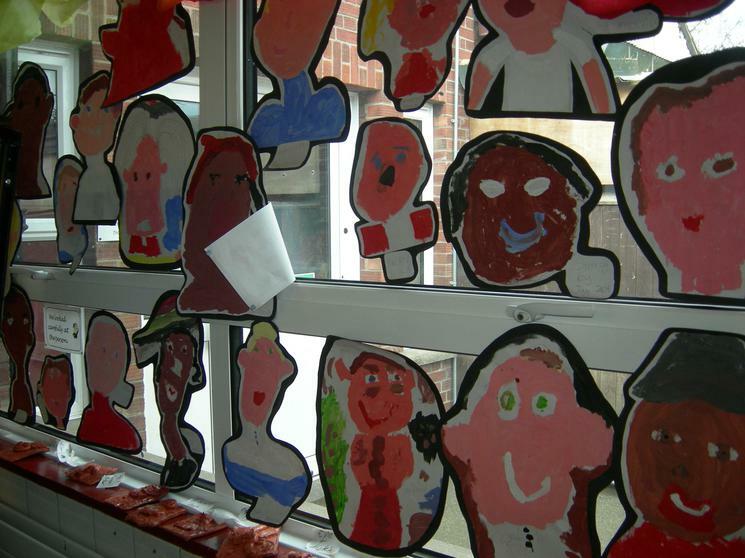 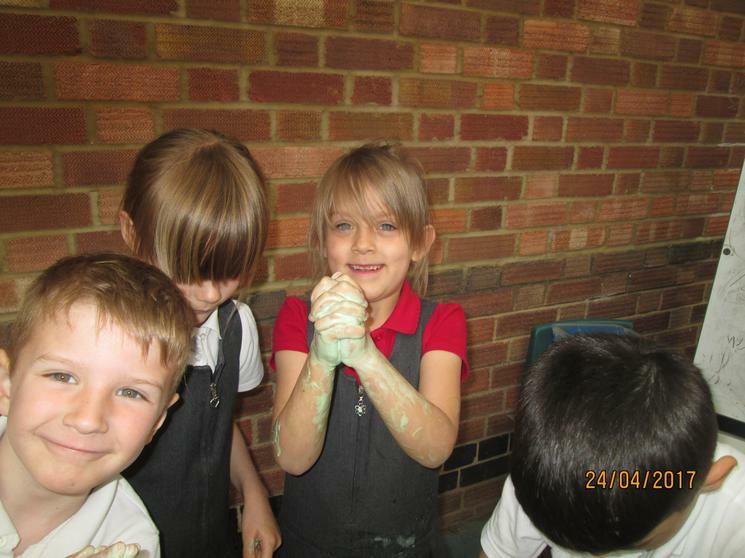 We all had a fantastic 'space themed' science week last week. 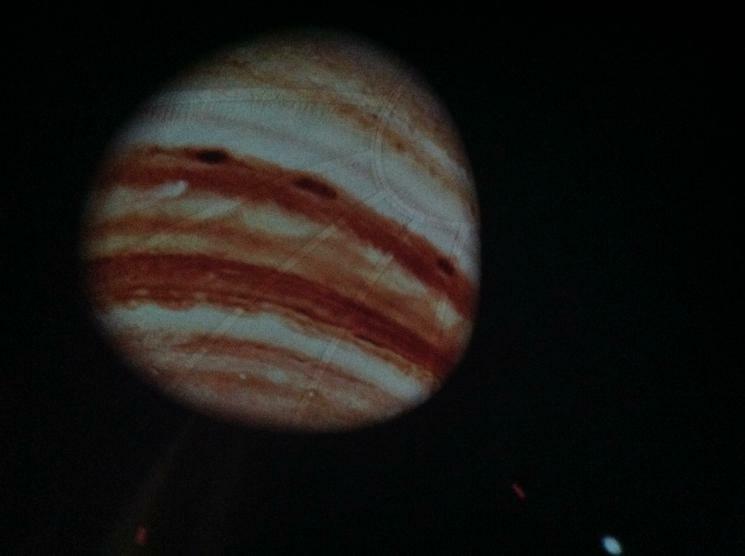 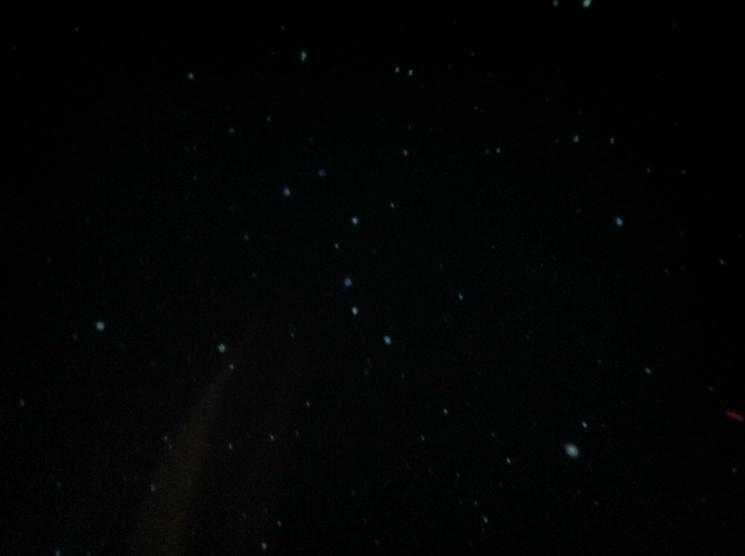 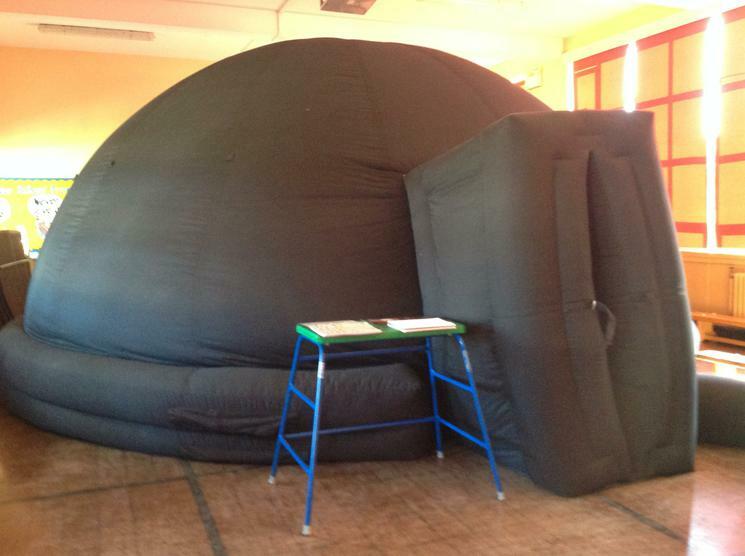 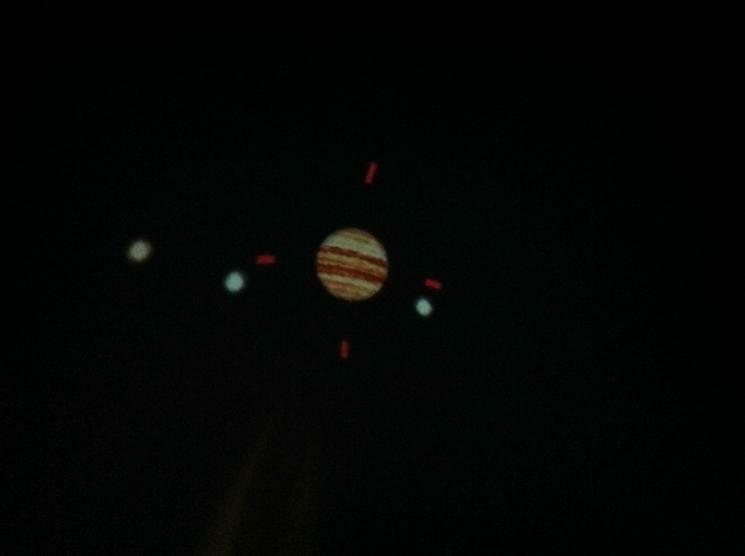 The planetarium came to visit on Tuesday and we rotated around all the classrooms and teachers on Monday, Thursday and Friday afternoon. 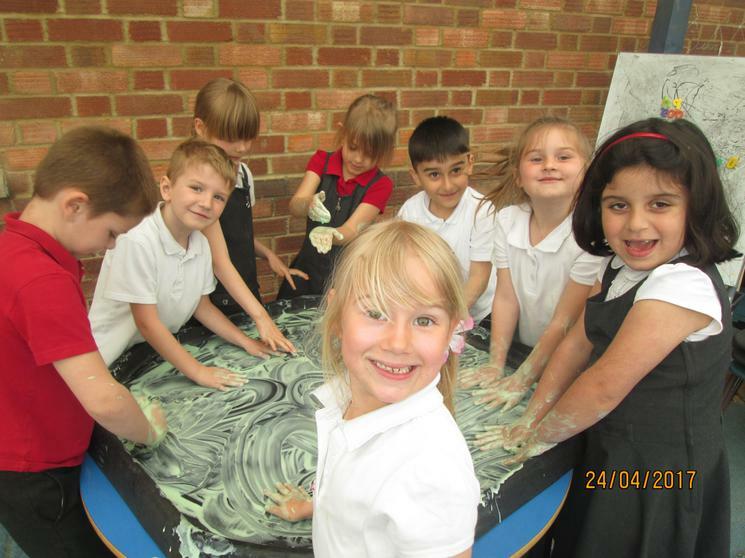 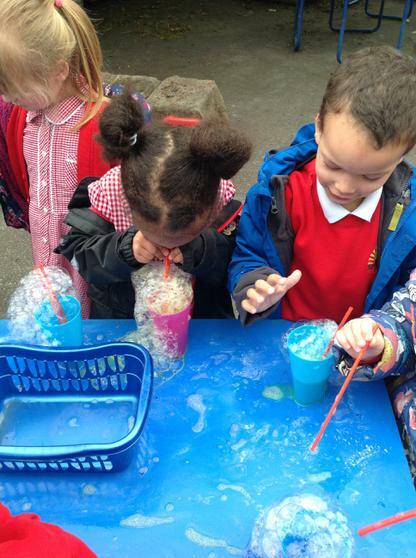 We enjoyed gravity balls, space bubbles, fizzy bottle rockets, space plastic, fizzing Jupiter, moon sand, alien slime, raisins and lemonade experiments, moon craters and meteorite strike experiments. 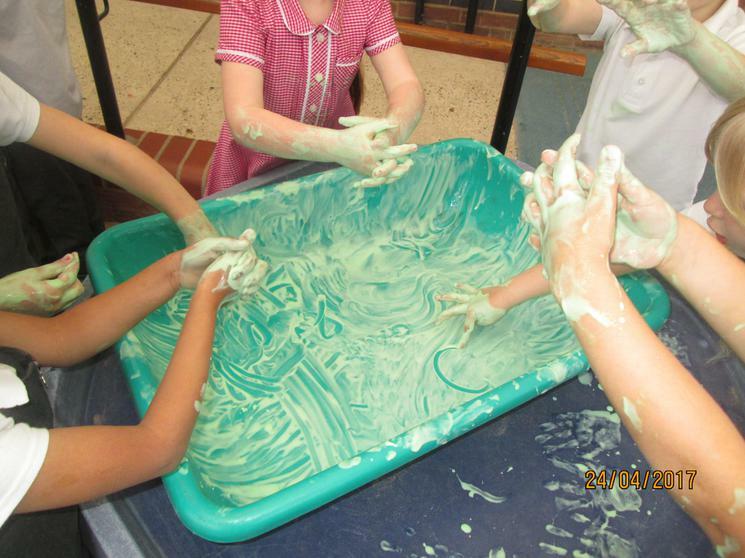 It was fantastic fun! 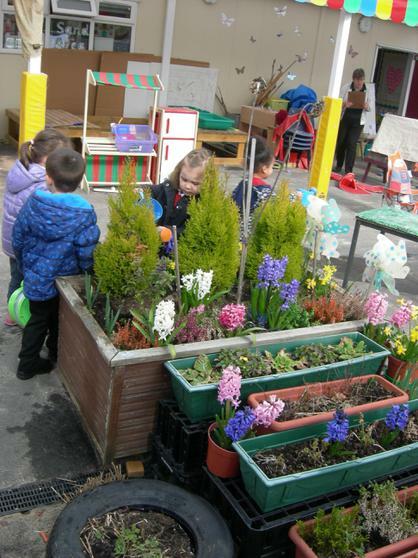 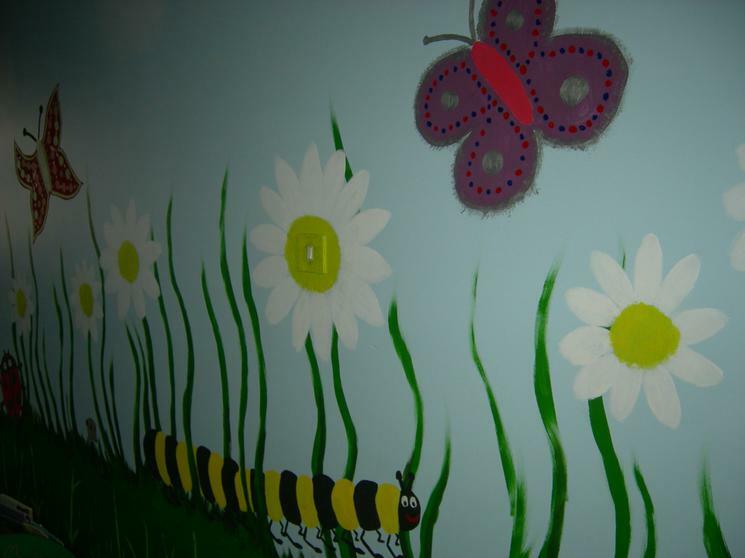 Thank you very much if you sent in plants for the sensory garden area. 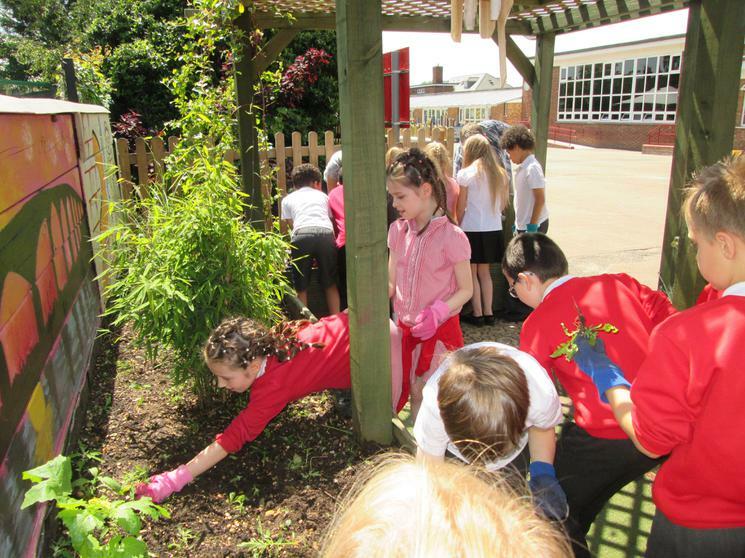 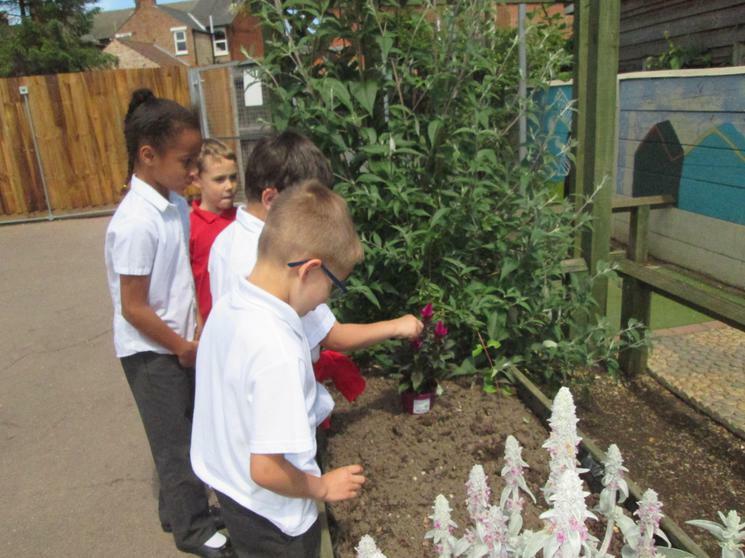 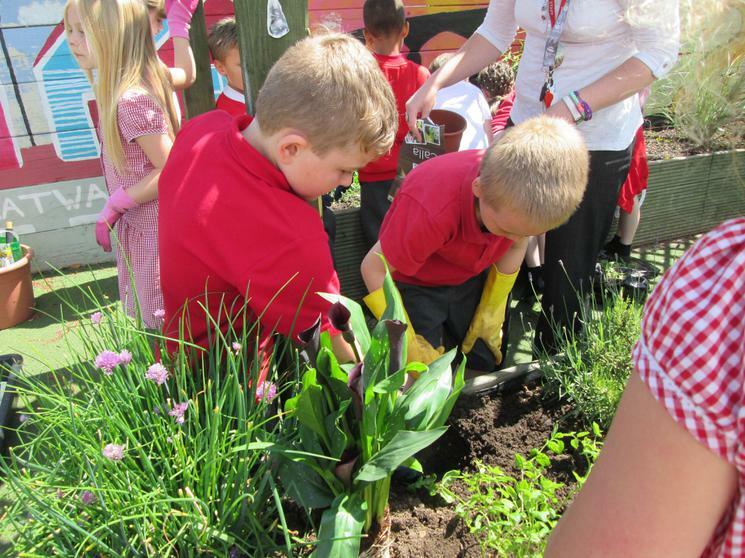 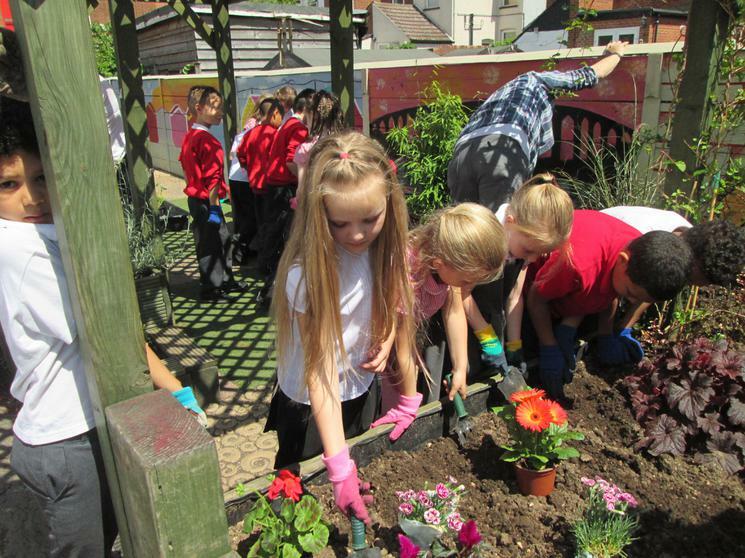 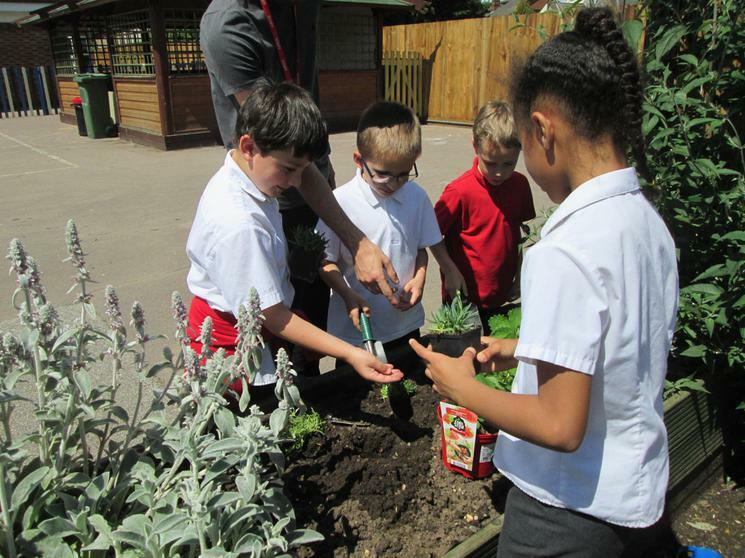 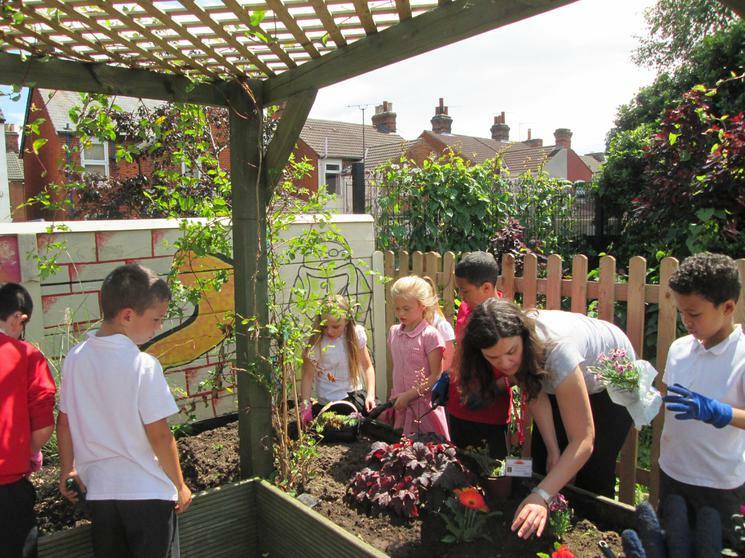 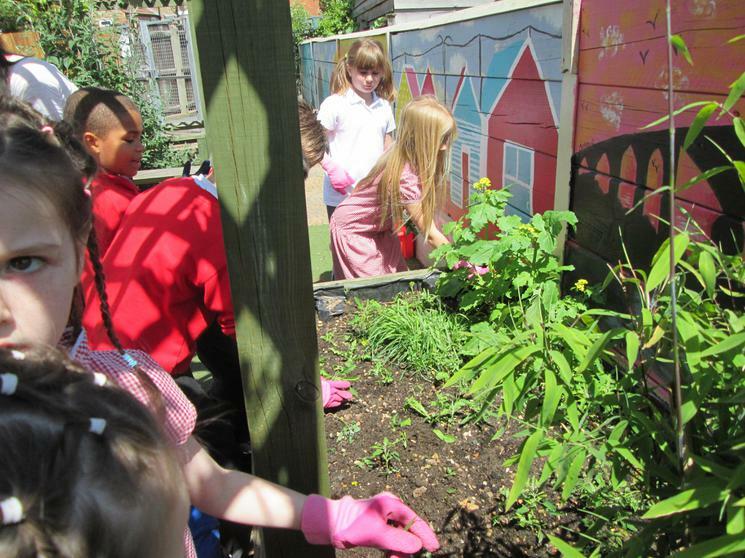 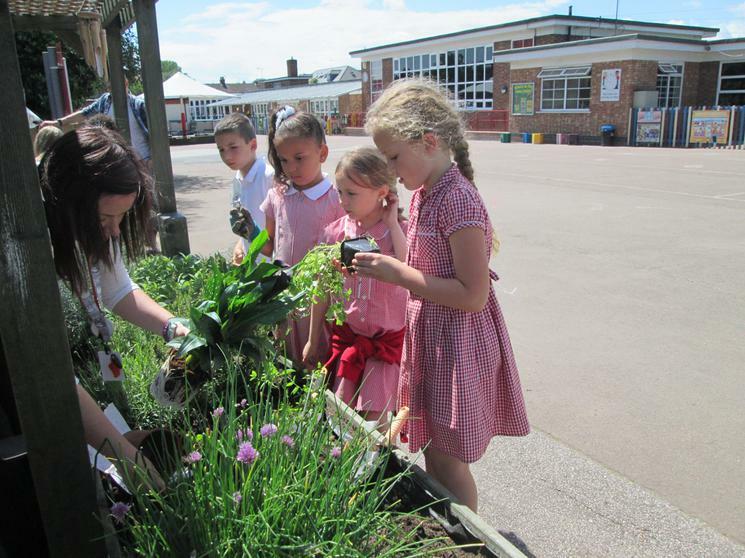 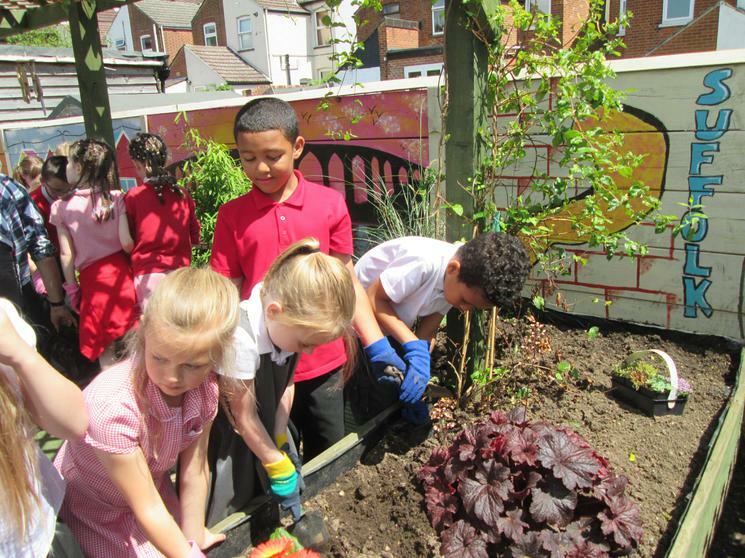 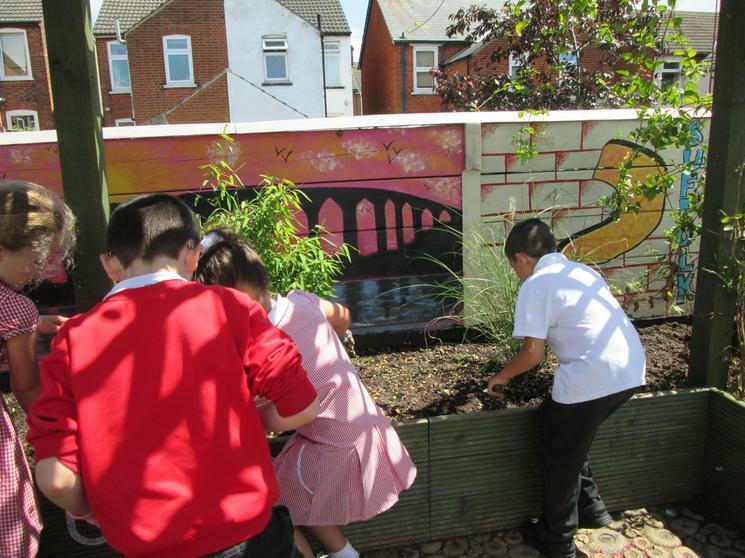 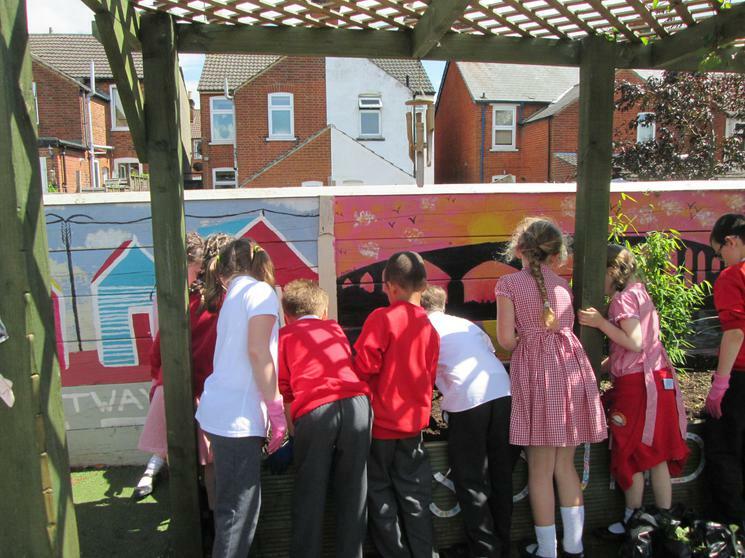 The year 3 juniors came over today to help some of the year 2's plant them in the sensory garden area. 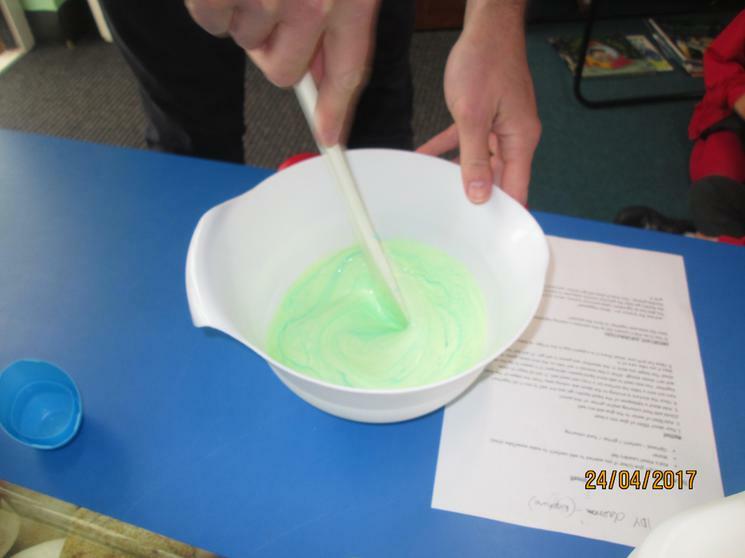 This week has been Science week at school. 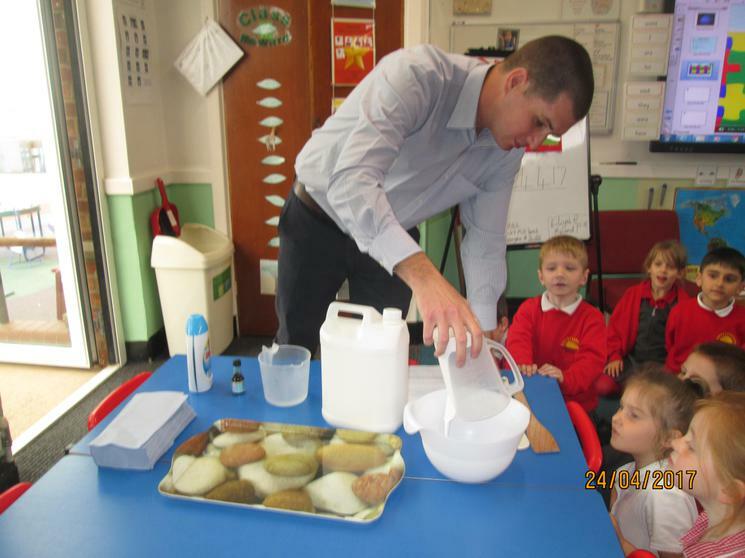 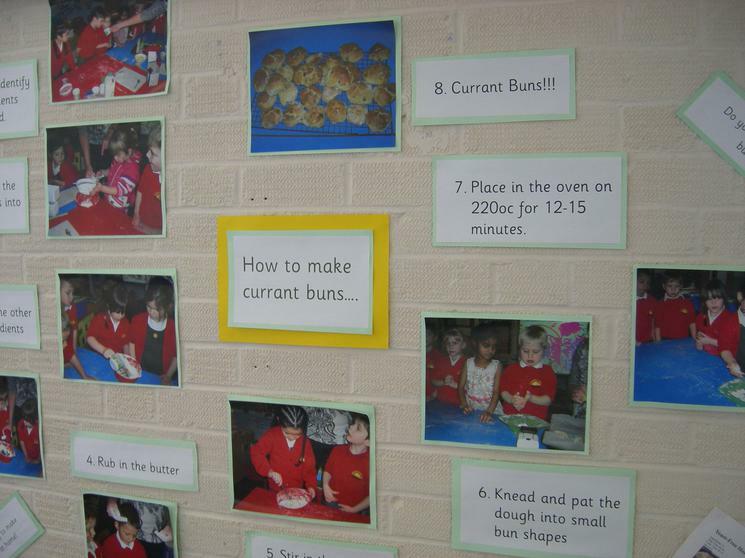 The children were all very enthusiastic and excited to take part in some different science activities. 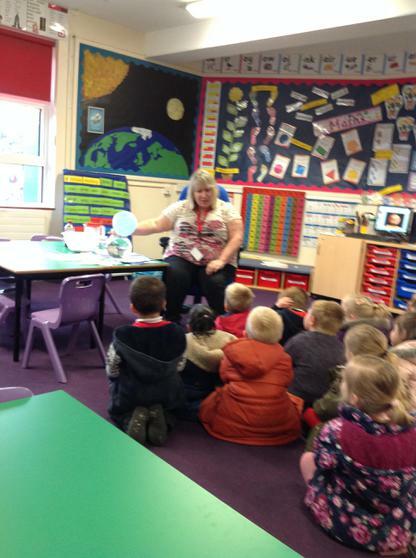 The children had a lot of fun experimenting with Static Electricity - using balloons. 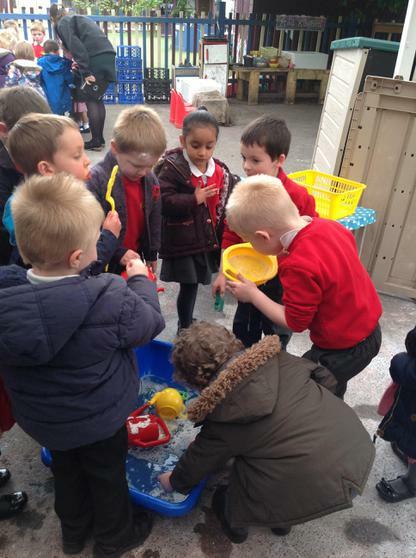 They were amazed to make their friends hair stick up (using the balloons), without touching their hair! 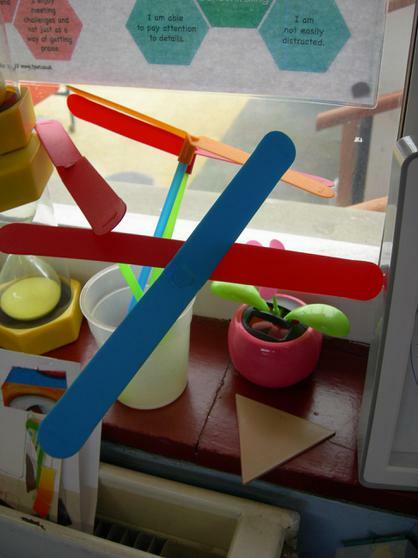 They also thought it was great that they could get a balloon to stick to the wall, a cupboard and the windows. 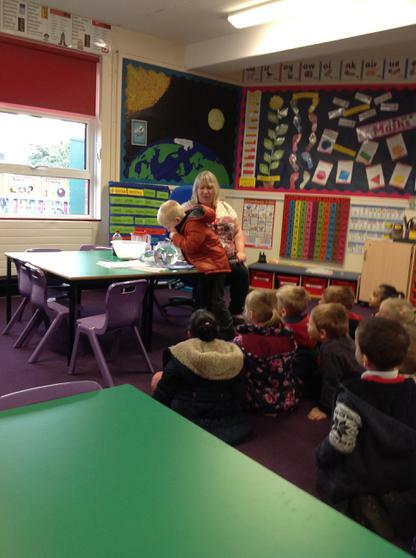 Some children were also able to get their balloon to stick to their clothes too! 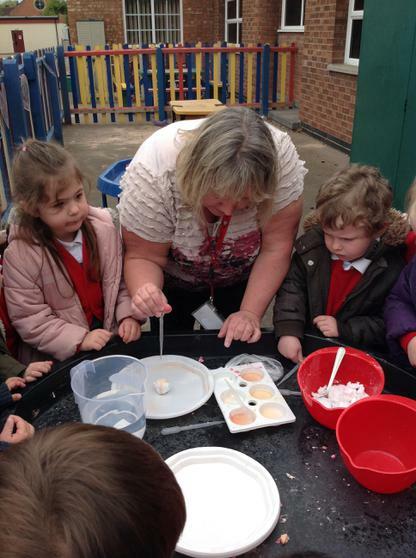 We also went outside to see Mr Youngs add some Mentos mints to a bottle of Diet Coke and then watch it explode like a volcano!! 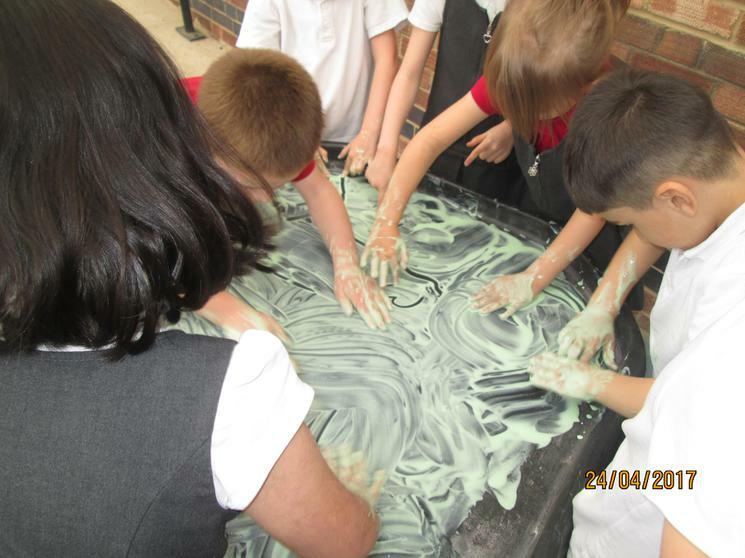 To see the amazement on the children's face when it exploded was brilliant (have a look at some of our photos). 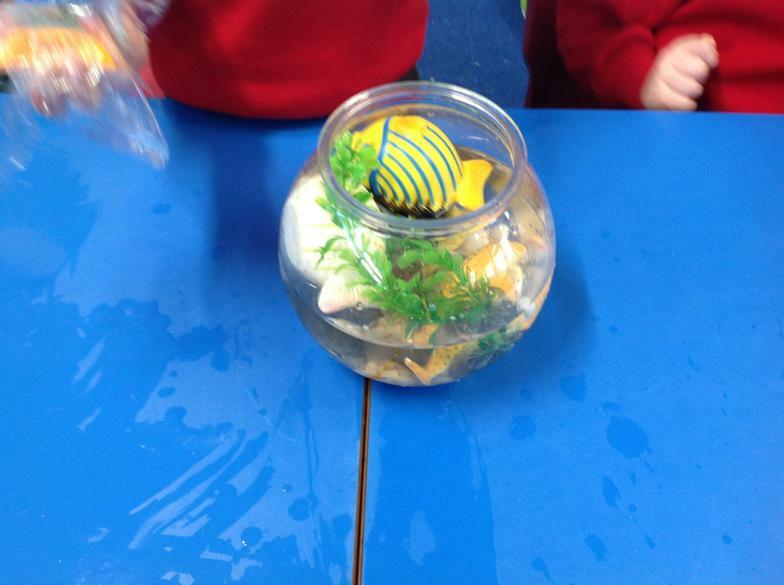 On Friday the class also were excited to make and test parachutes with Mrs Wesson and to make bubbles with Miss Cunningham. 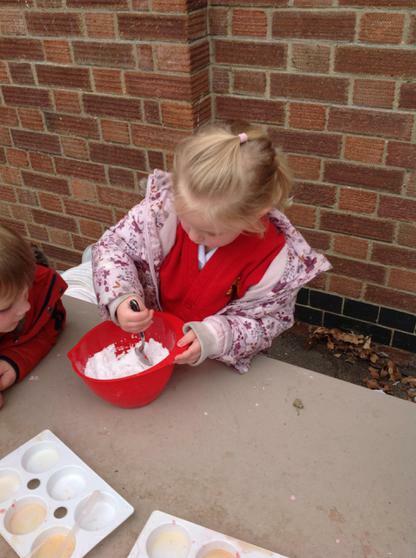 The children also did a raisin and lemonade experiment with Miss Cunningham too! 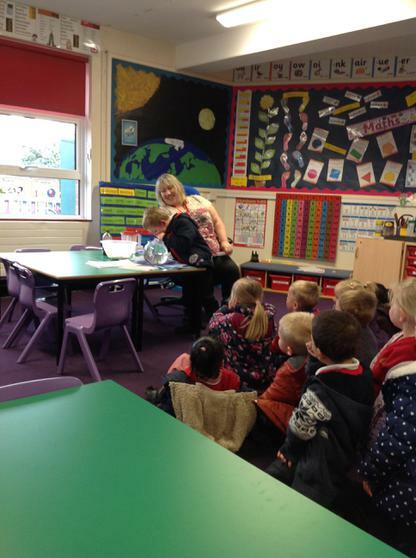 In Science week the Year 2s with Mrs Friar tested the theory that the length from our wrist to our elbow is the same as the length of our foot. 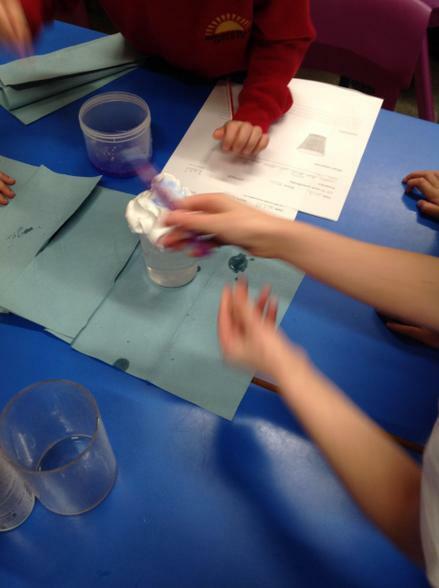 We did lots of measuring and recorded our results to prove or disprove the theory. 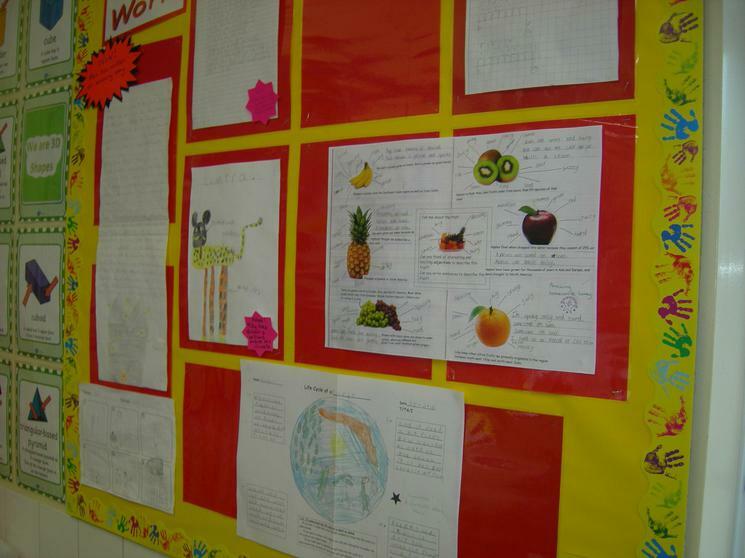 We discovered that for most people it was true and so we therefore decided that we had proved the theory. 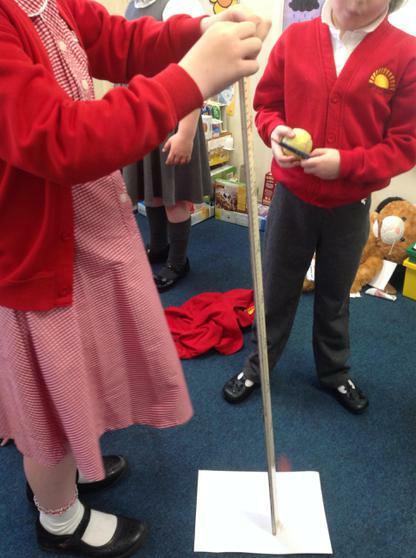 We then tested the theory that we are as wide as we are tall, by measuring our height and our armspan. 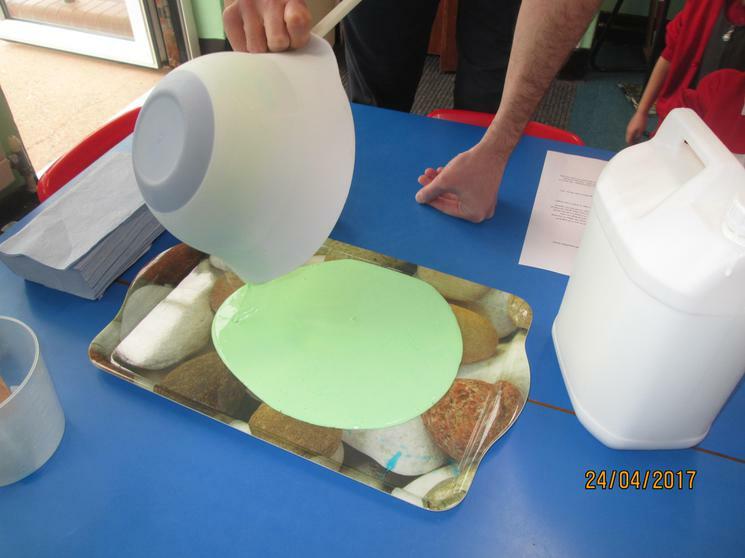 Our results in this test proved to be less conclusive and so we feel that we could neither prove or disprove this theory. 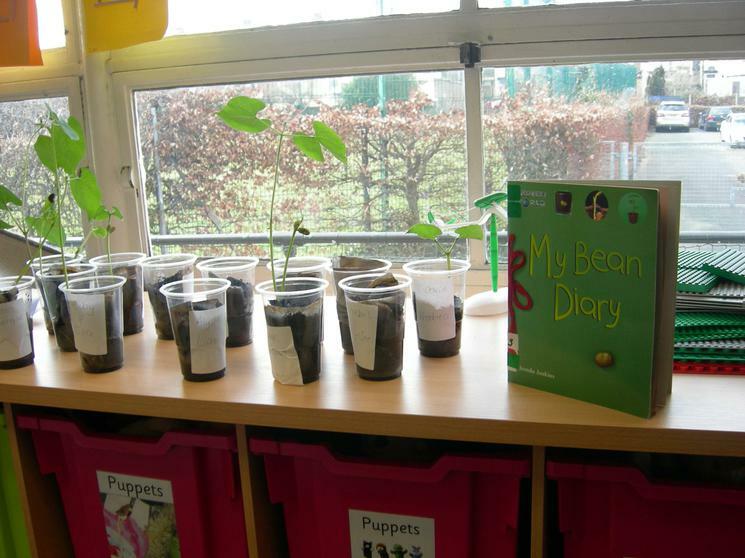 We did wonder whether this was because we were still growing and so said we would ask adults at home if we could measure them to see if this was the case. 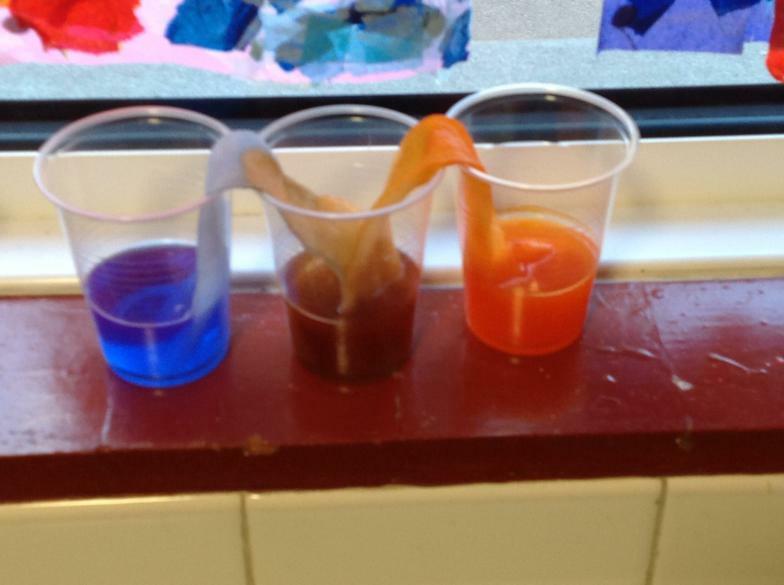 In RCC we carried out 2 different experiments. 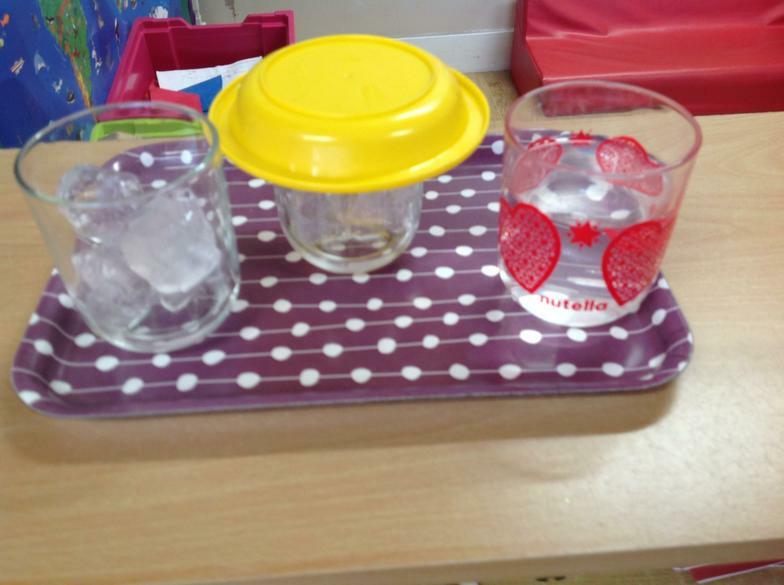 1 experiement was called Up and Down- we used lemonade and raisins and observed what happened when we put raisins into our jug of lemonade. 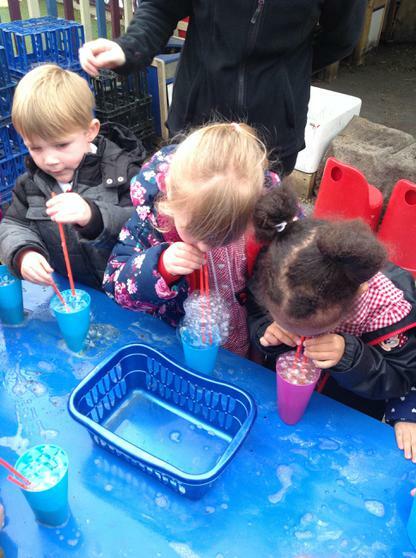 The children noticed that the lemonade had lots of bubbles. 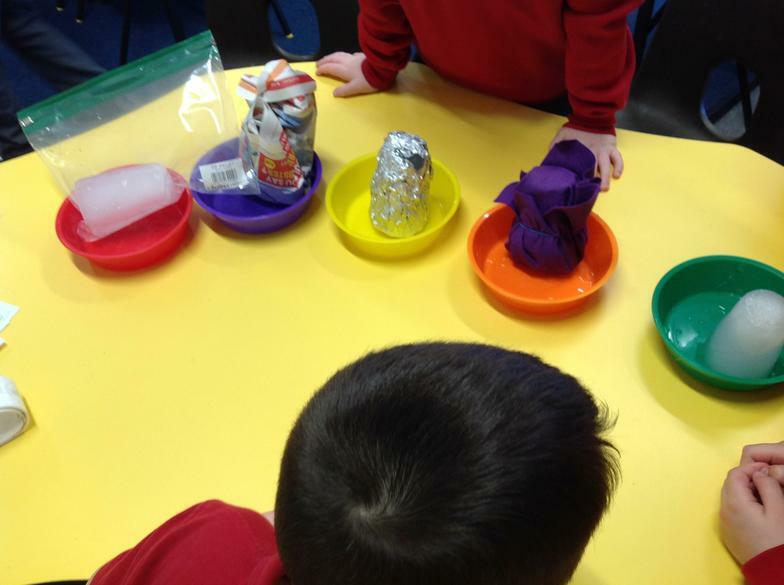 We made predictions about what would happen when we added the raisins. 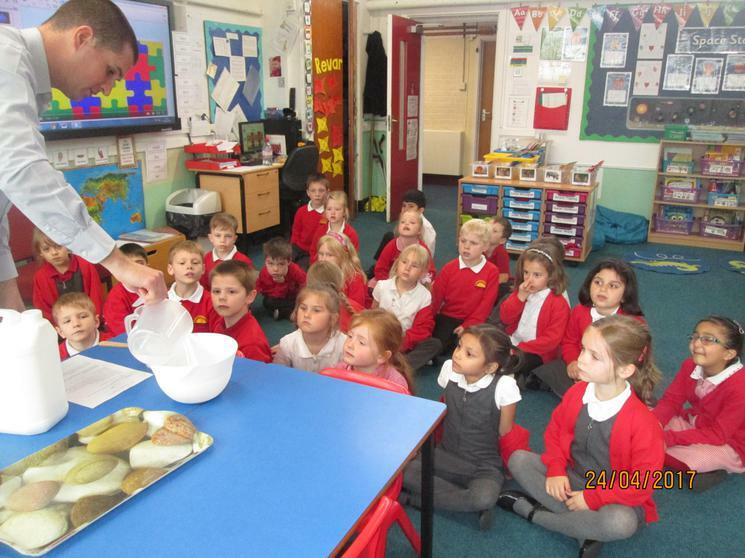 Most children thought that the raisins would explode and some thought that the raisins would sink to the bottom. 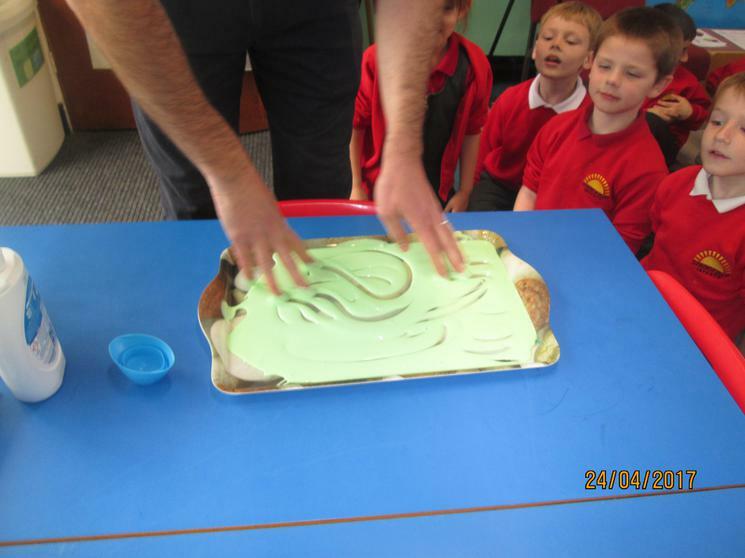 When we added the raisins we noticed that that the raisins were soon covered in bubbles and then they moved up and down. 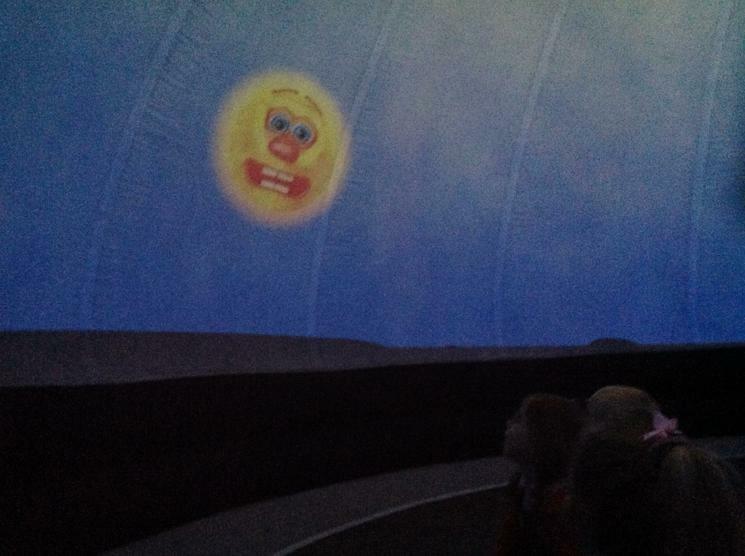 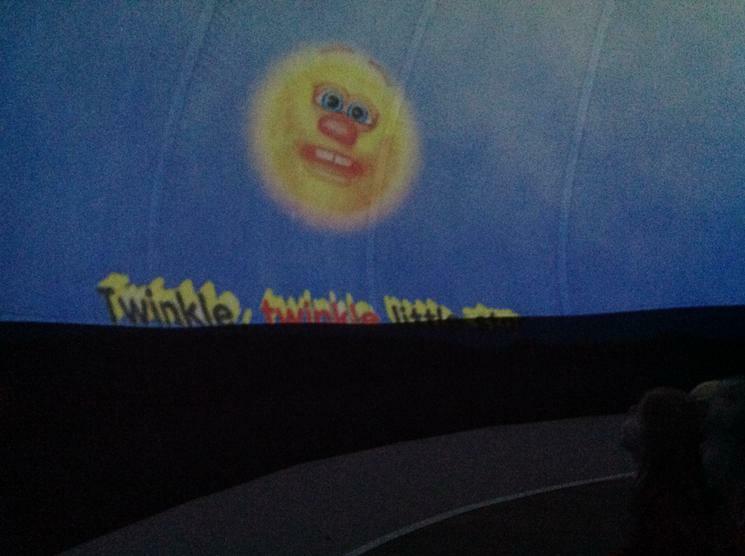 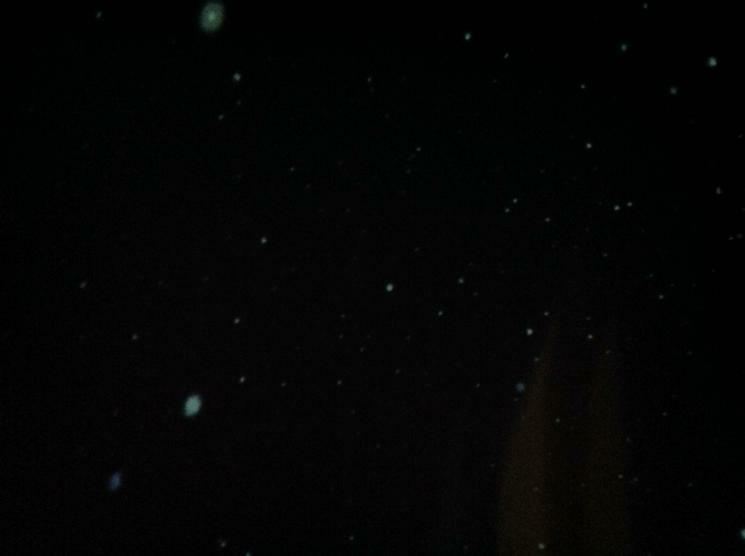 The 2nd experiement was the Bubble experiement. 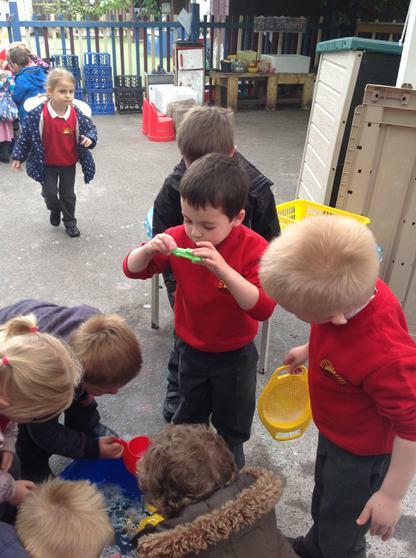 We used different shaped cutters to try to make different bubbles. 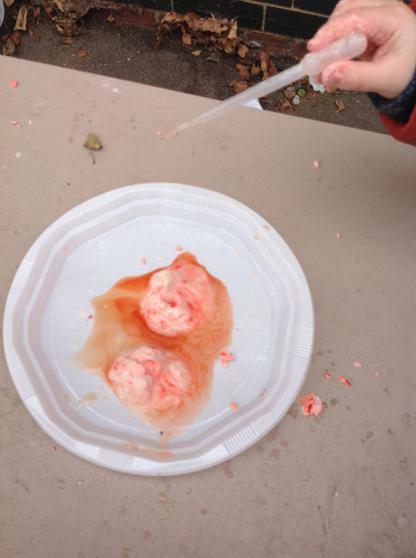 We predicted that if we blew hard we would make bigger bubbles and that the bubbles would make the shape of the cutter. 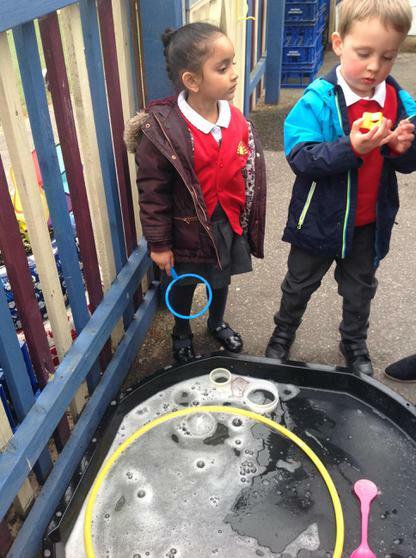 We found out that you needed to blow slowly to make big bubbles and that all the bubbles were round! 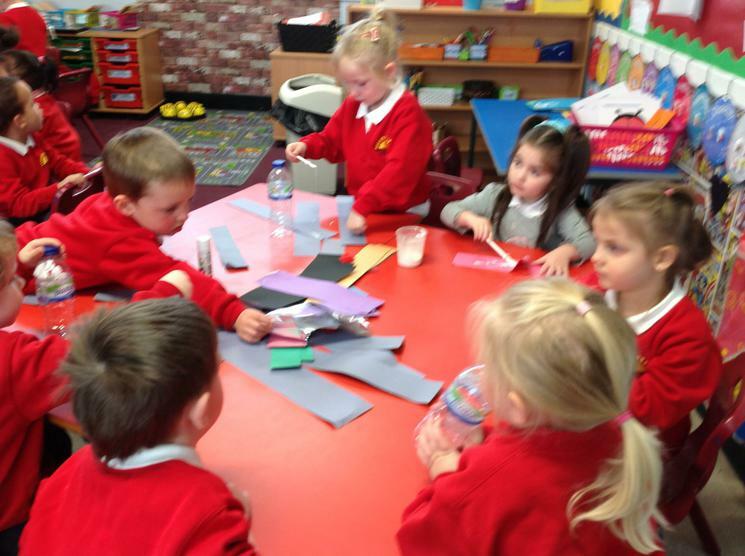 Testing Our Dominant Side- which do we favour? 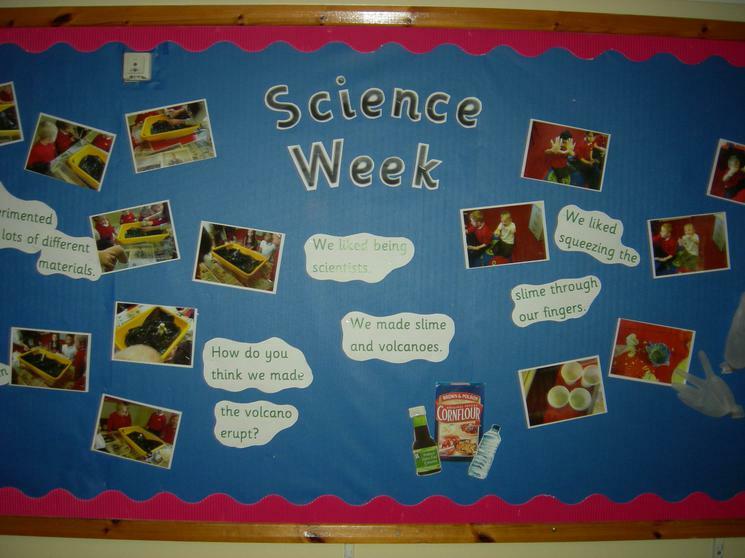 There is a lot more science week fun on the class pages - please see individual class pages to catch up with what each year group has been up to! 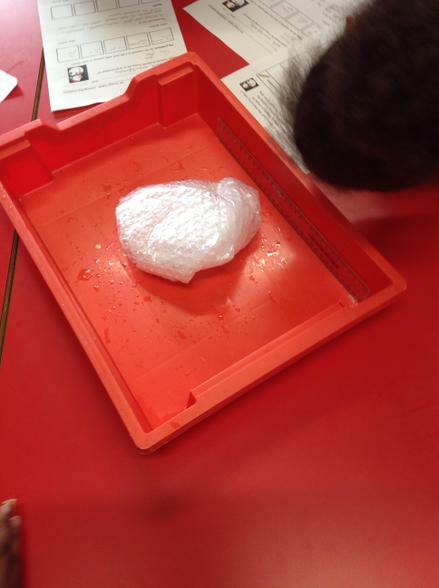 Making parachutes and testing which is the best material. 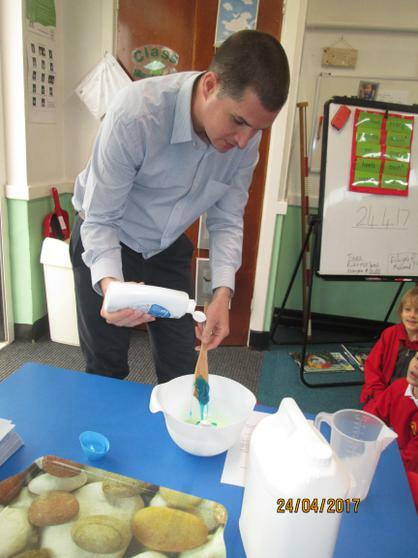 RSW - Science Week 2016! 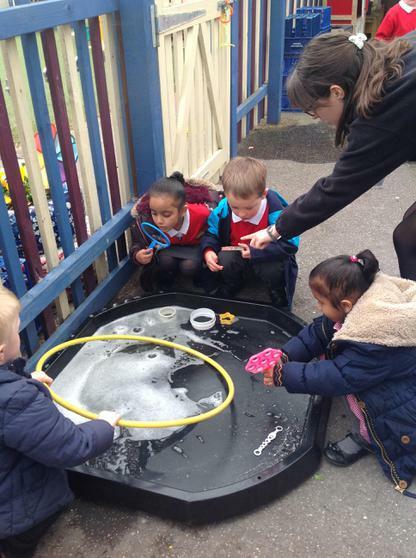 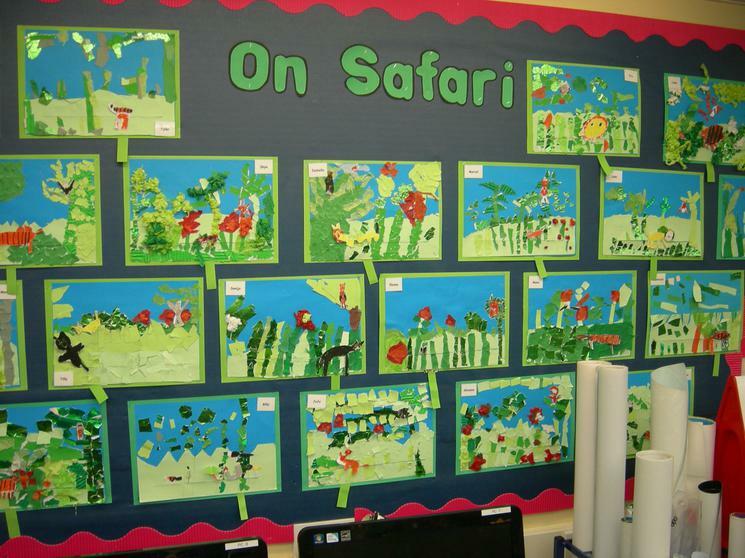 Reception have been very scientific this autumn term and have carried out some exciting experiments, fabulous animal and habitat comparisons, and have been practising making observations and predictions. 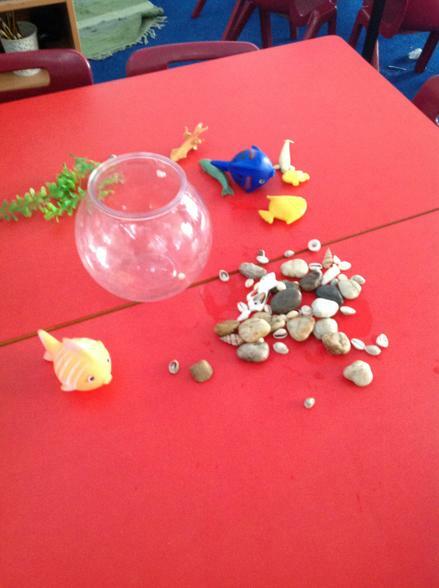 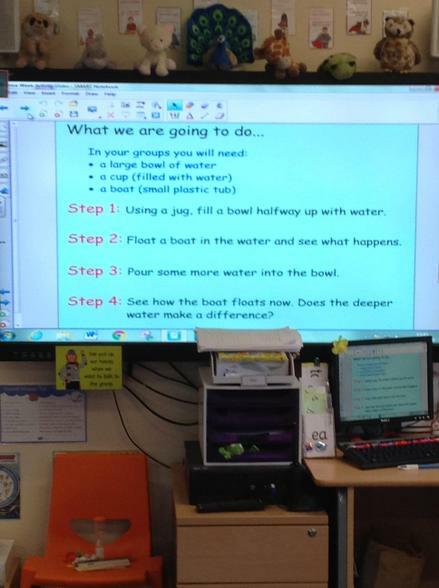 Mrs Wesson went on a learning walk and this was the science that she could see around the school. 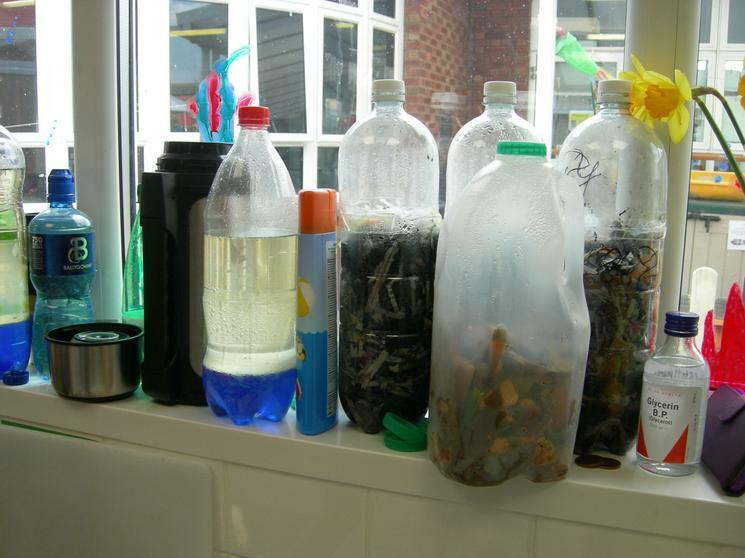 What a lot of science around the school!